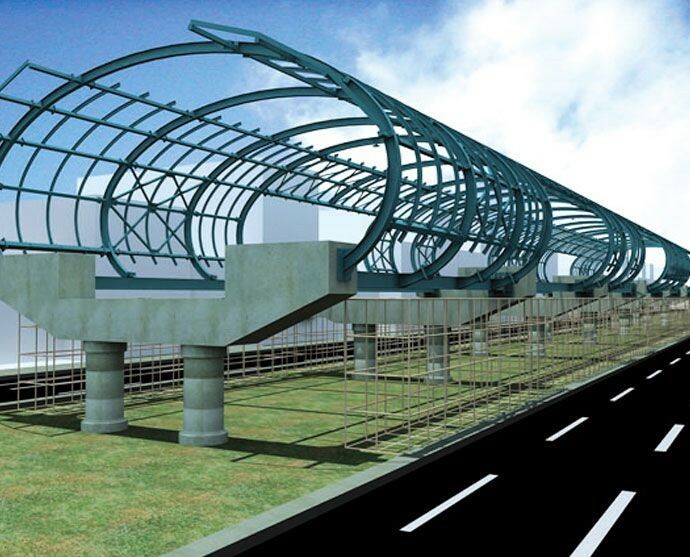 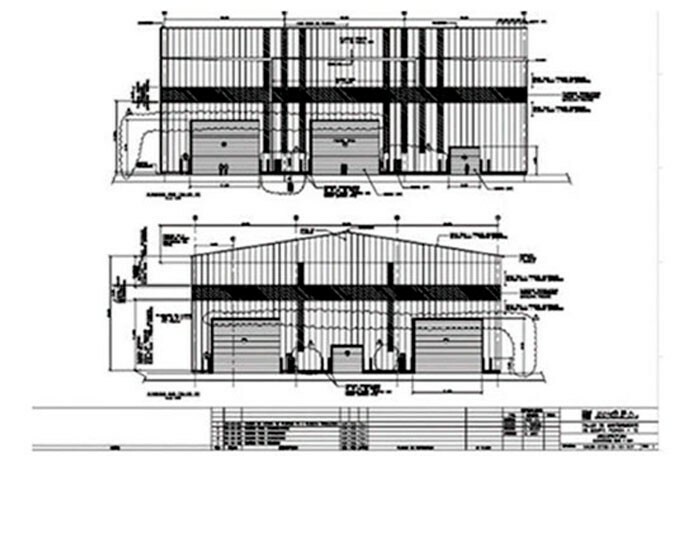 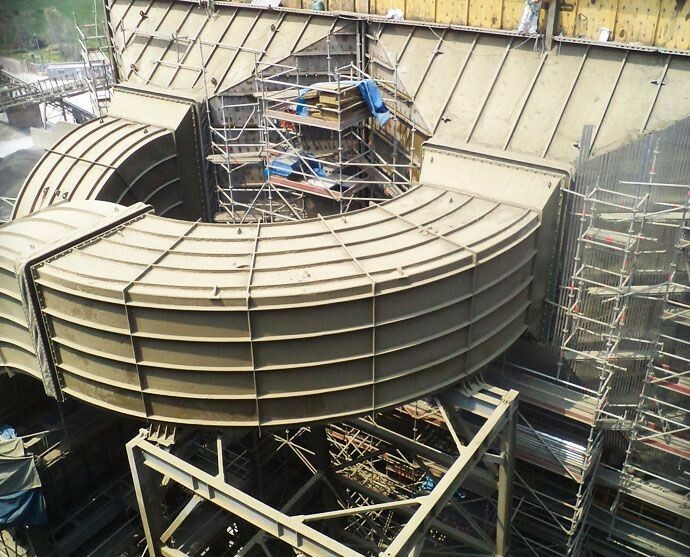 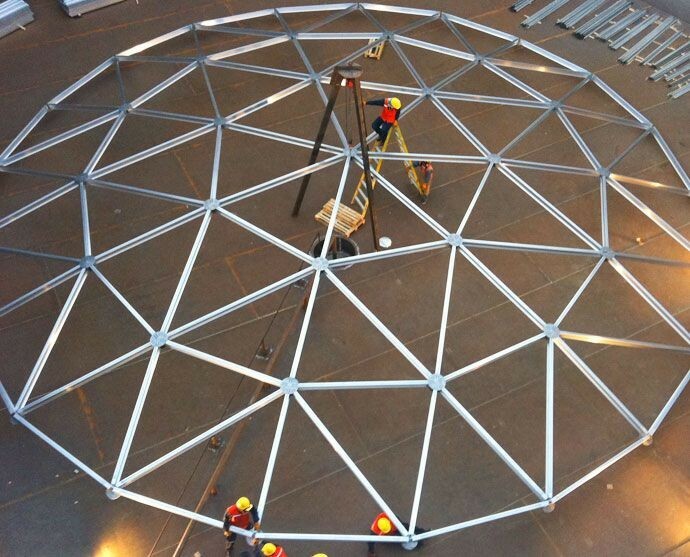 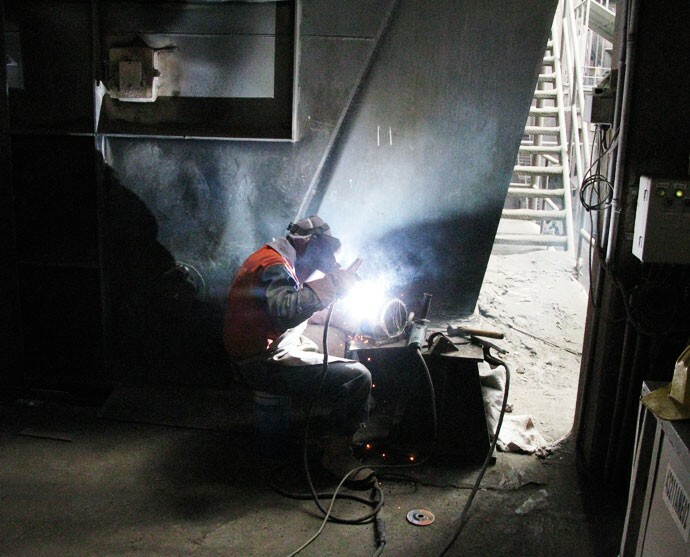 Haug S.A. develops the detail and workshop engineering required for the fabrication and construction of its works. 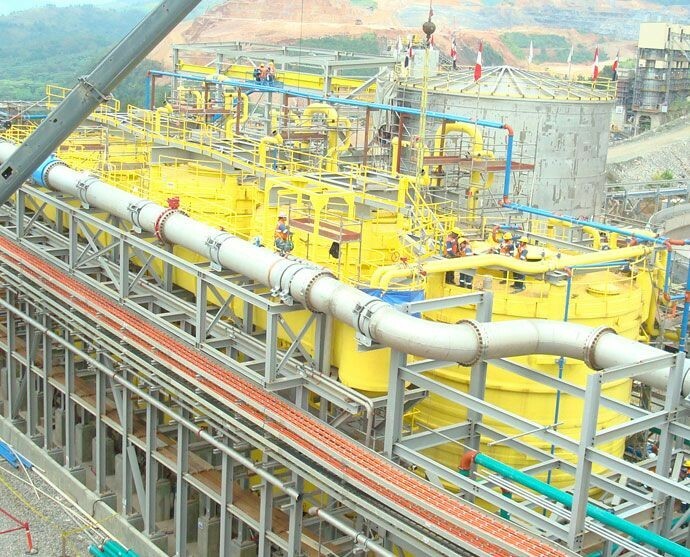 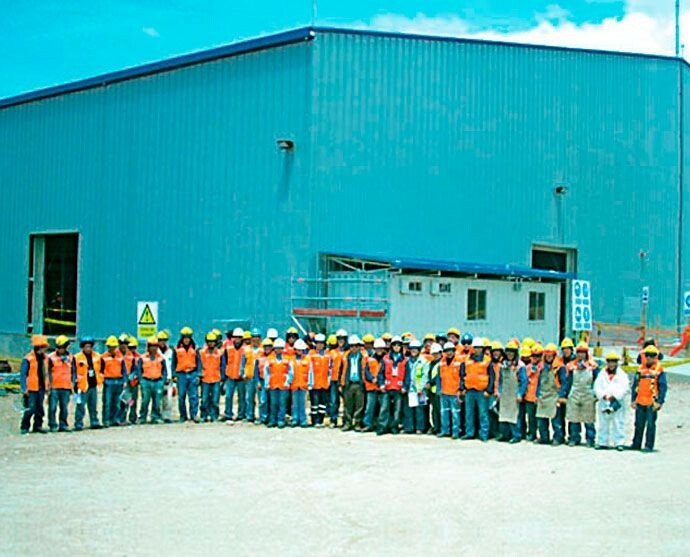 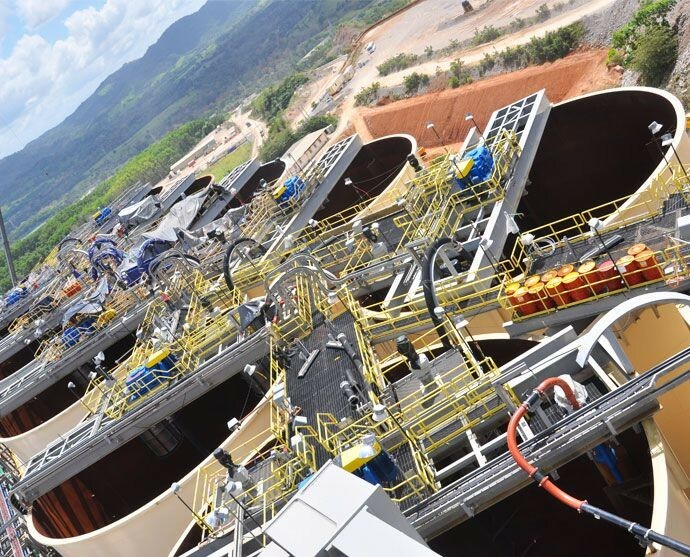 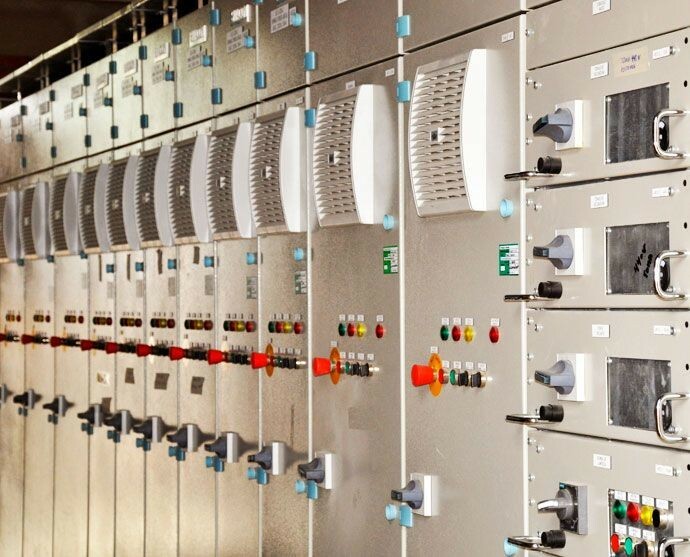 Additionally, it develops the basic engineering, detail engineering, fabrication and assembly drawings for the different projects it executes in the mining-metallurgical, hydro-electro-mechanical, industrial, hydrocarbon and infrastructure industries. 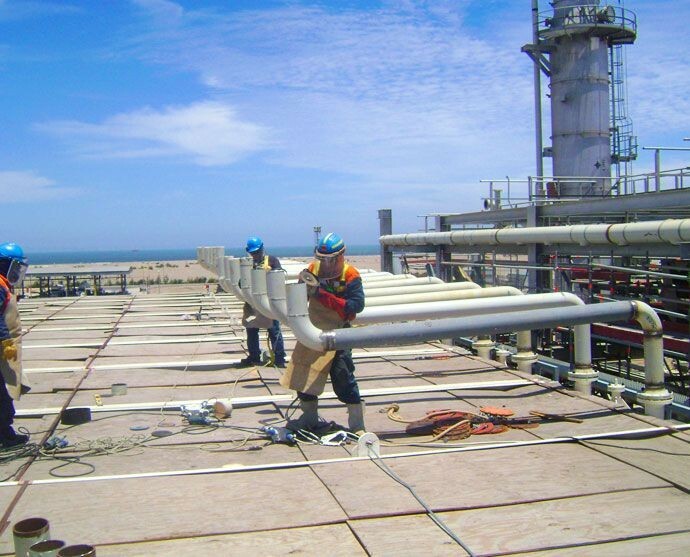 The company has available an exclusive Engineering office, highly qualified professionals, equipment and software for engineering development. 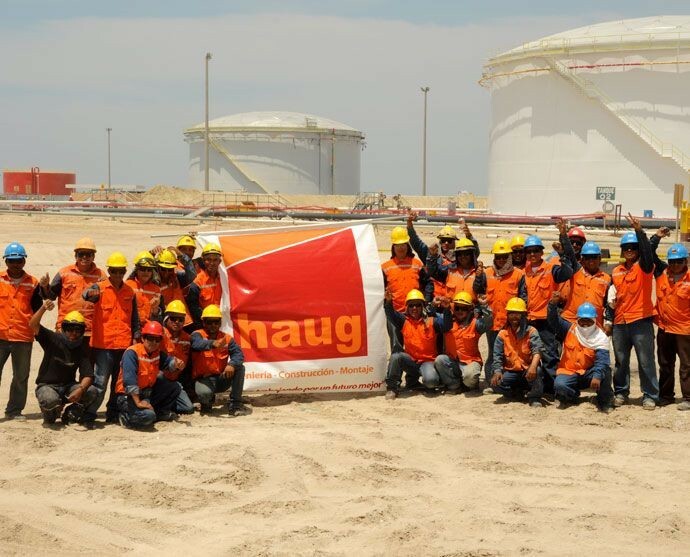 65 years ago, Haug S.A. started as a tank manufacturing company for the Hydrocarbon industry. 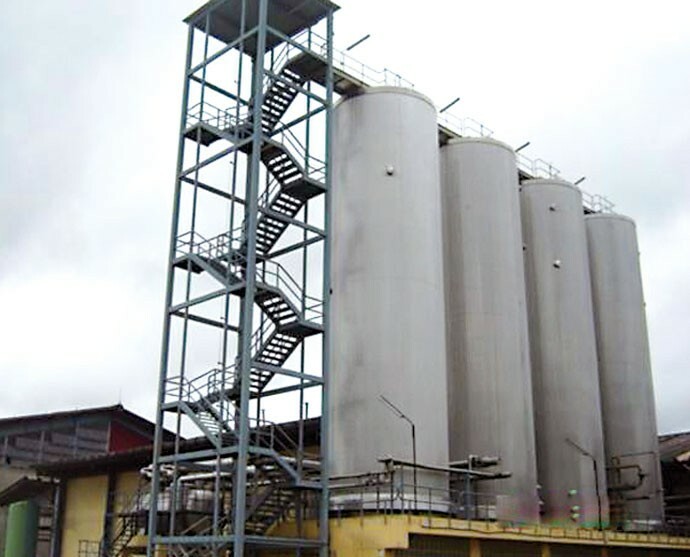 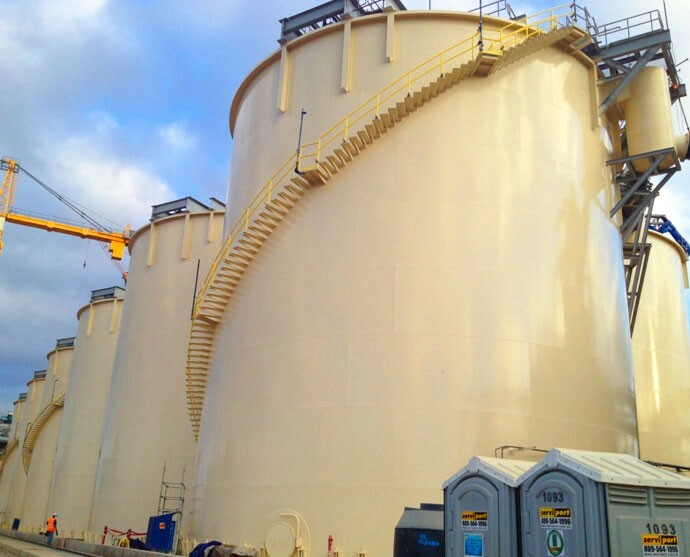 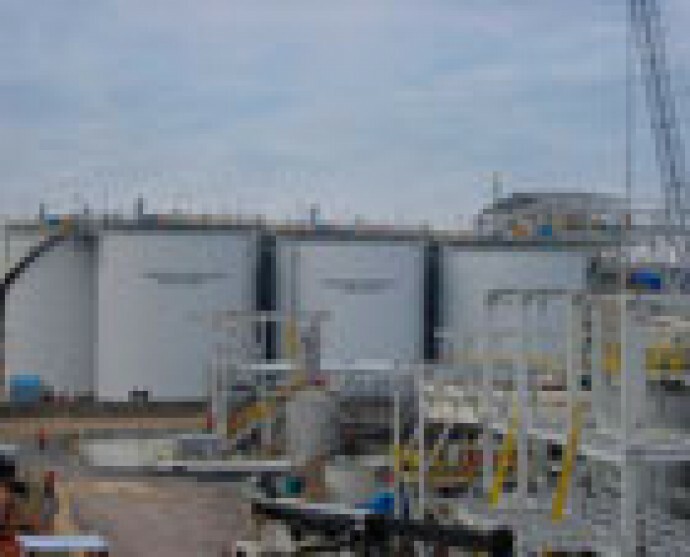 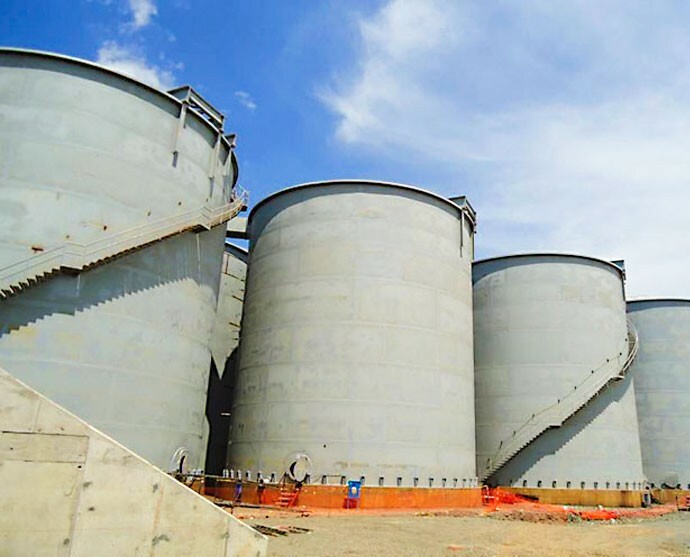 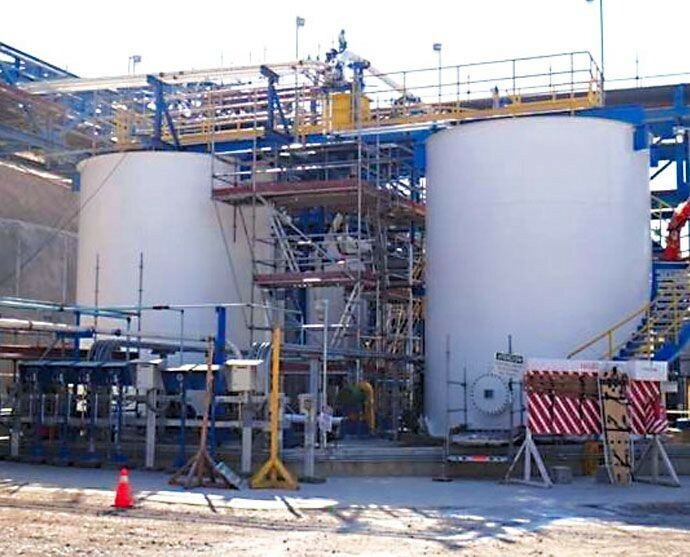 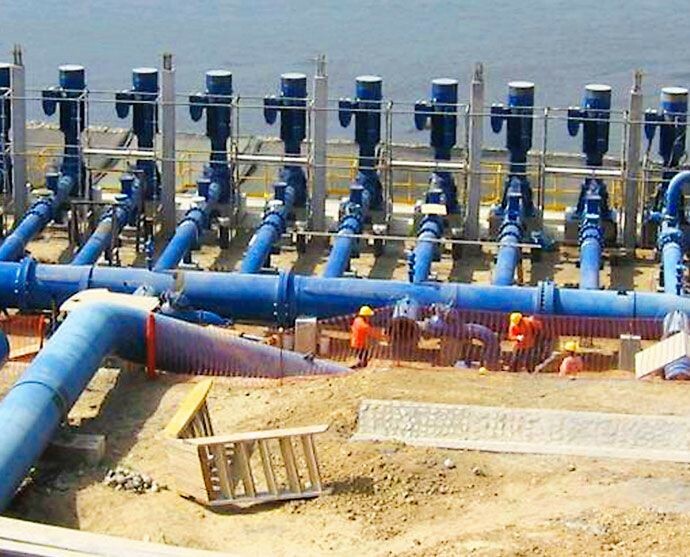 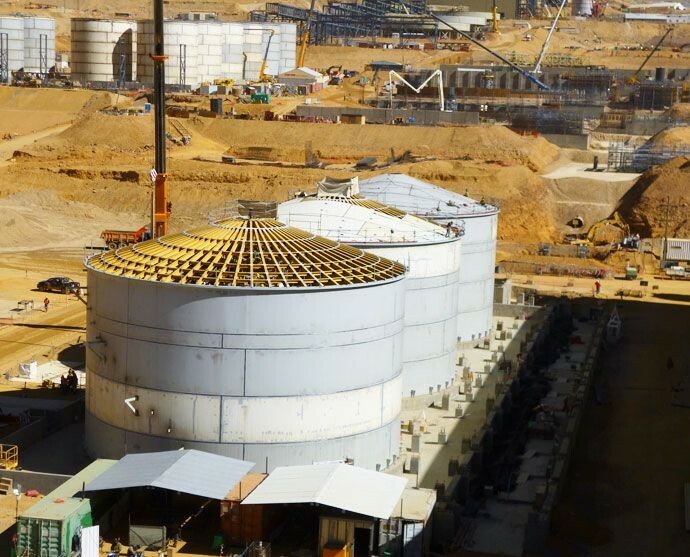 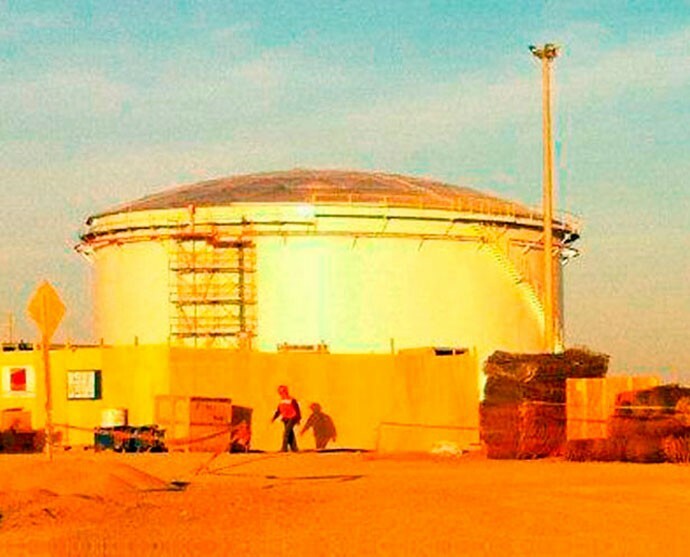 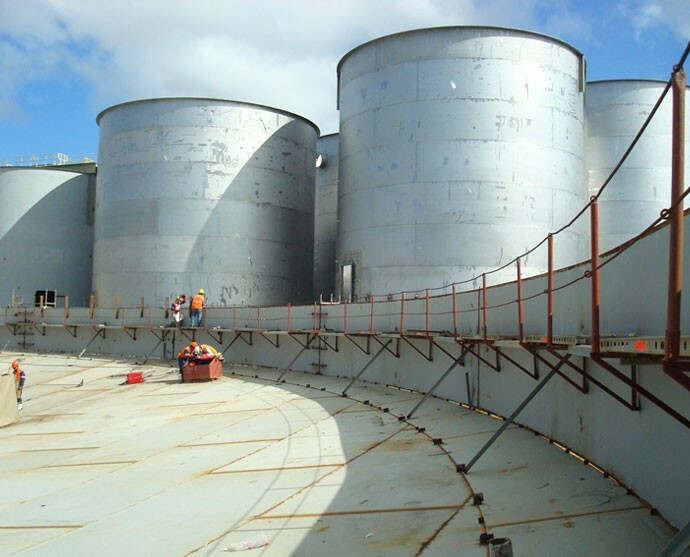 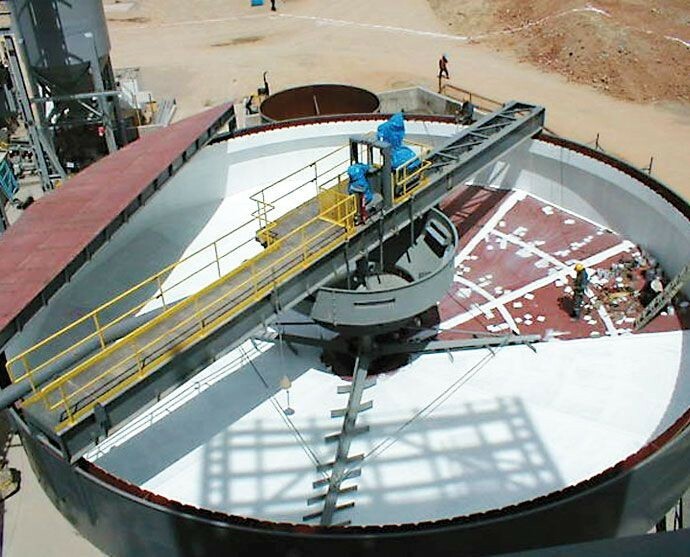 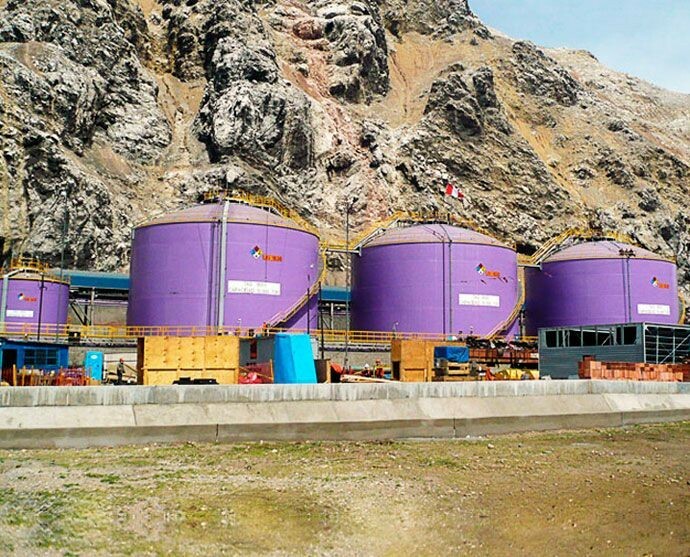 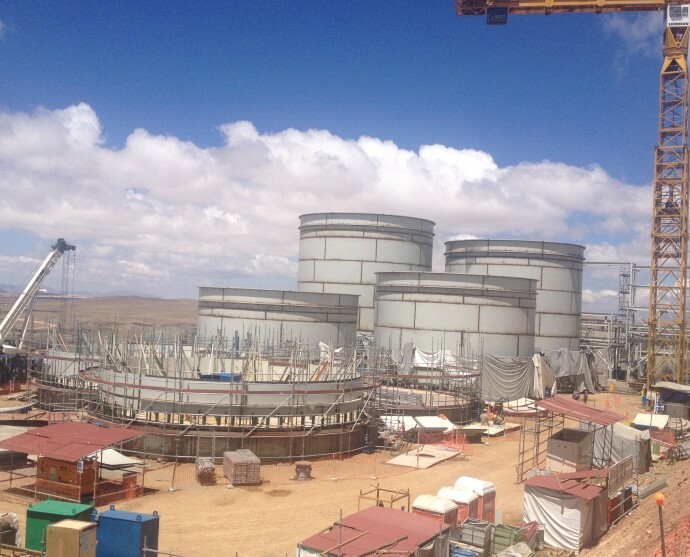 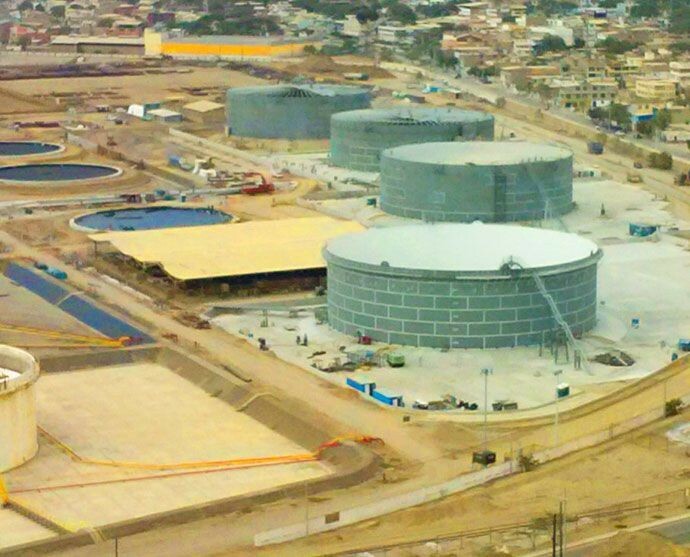 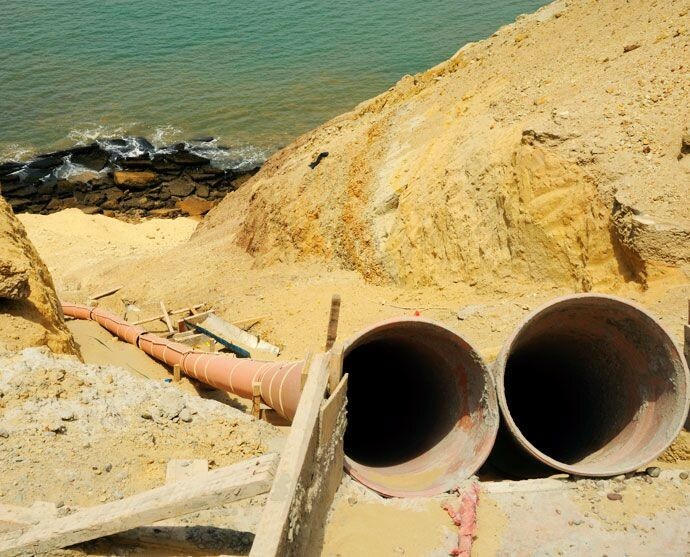 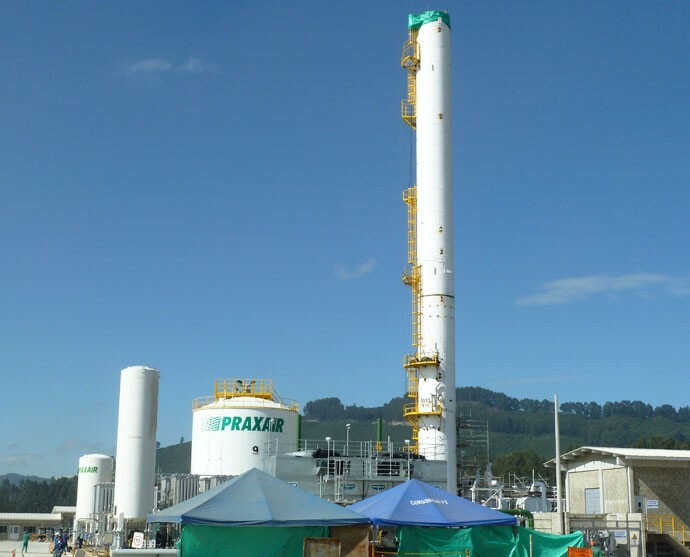 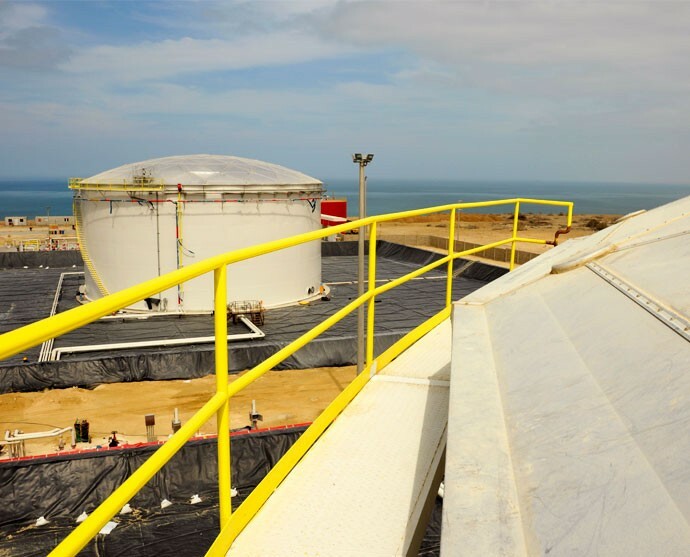 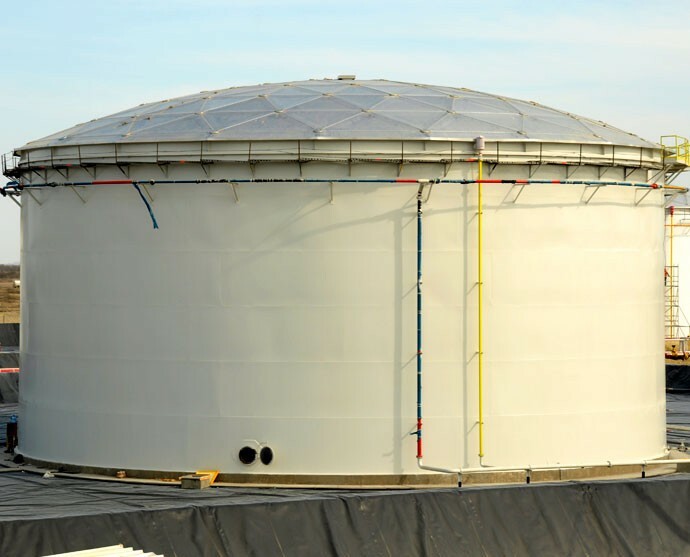 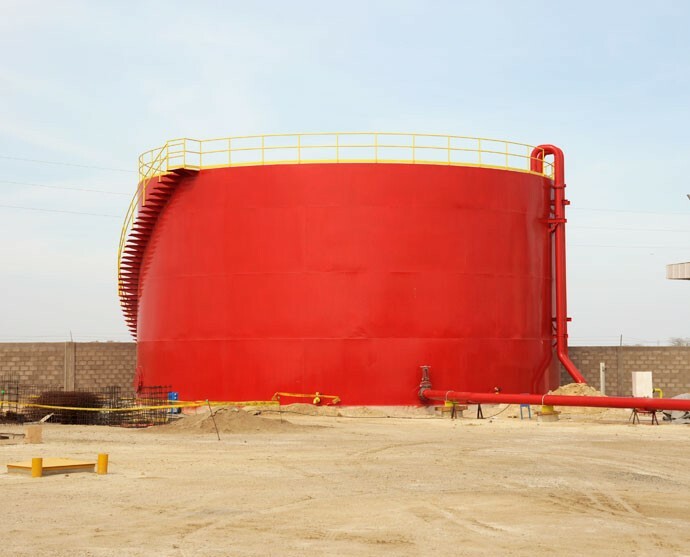 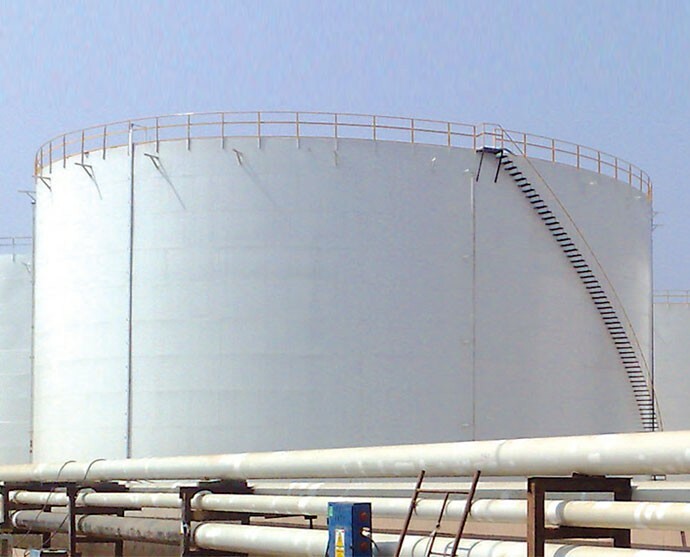 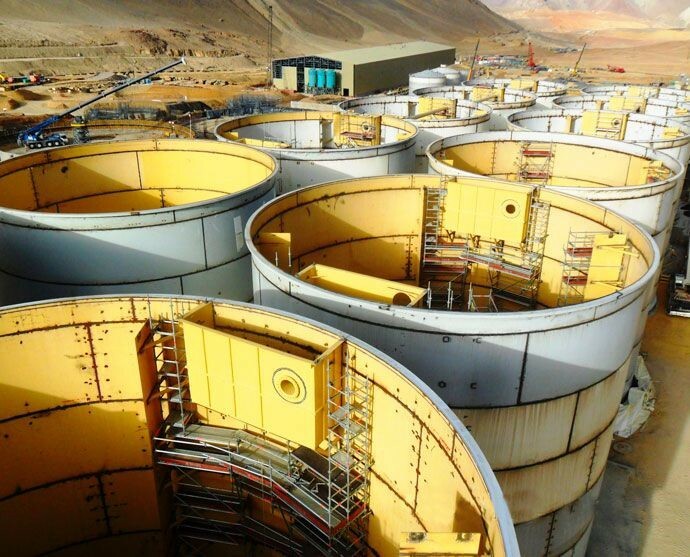 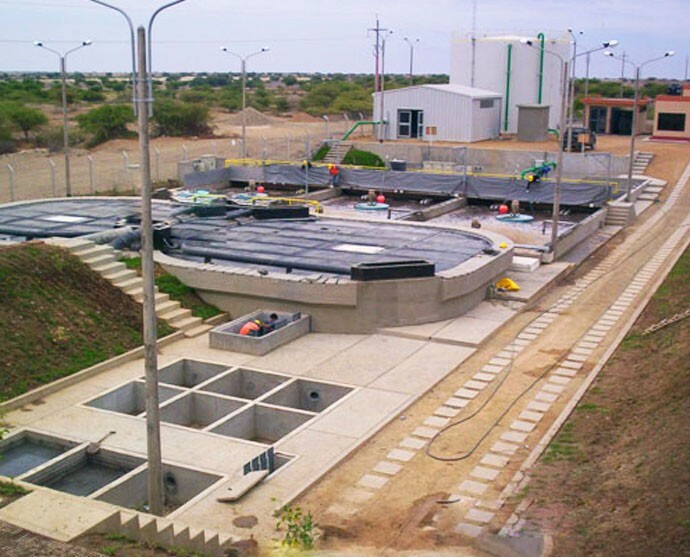 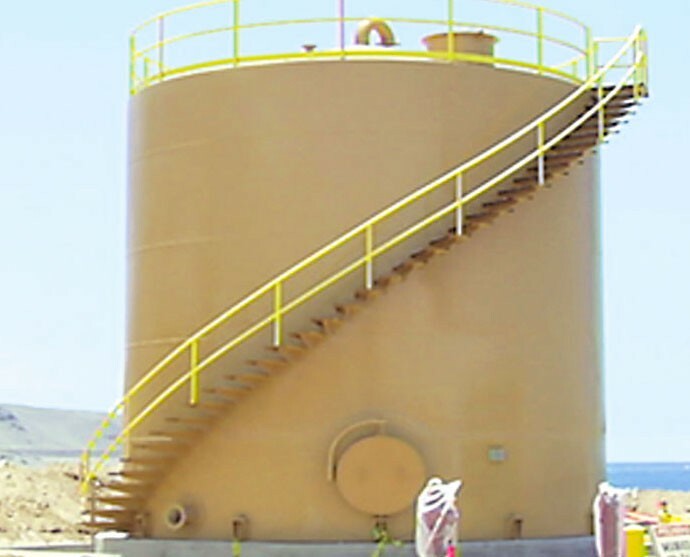 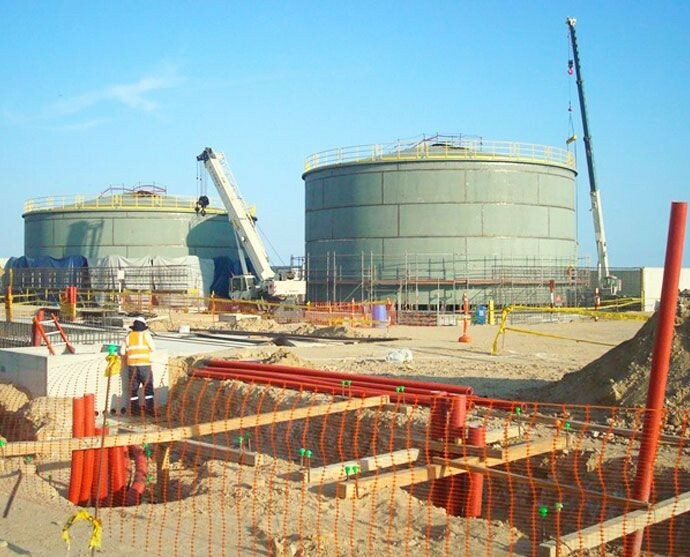 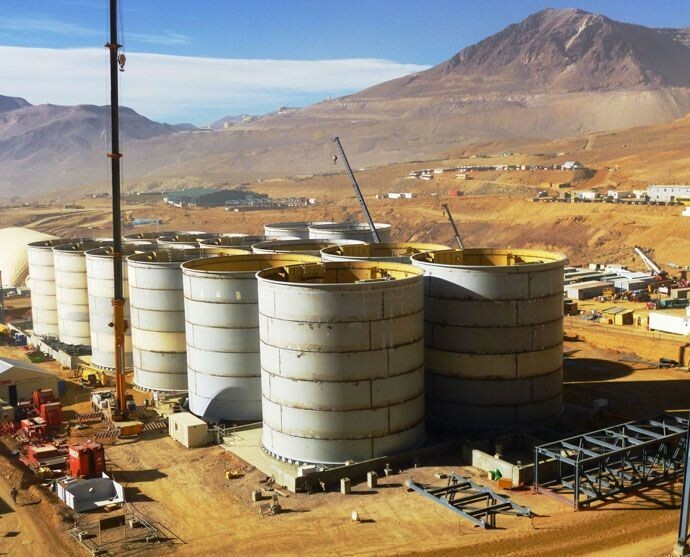 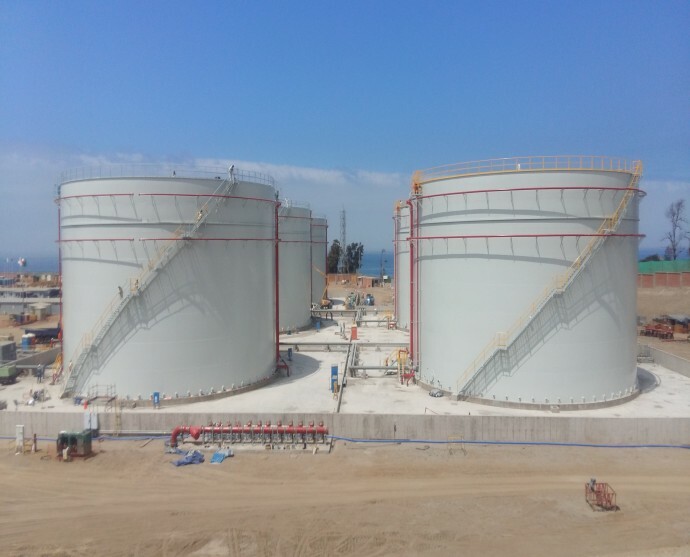 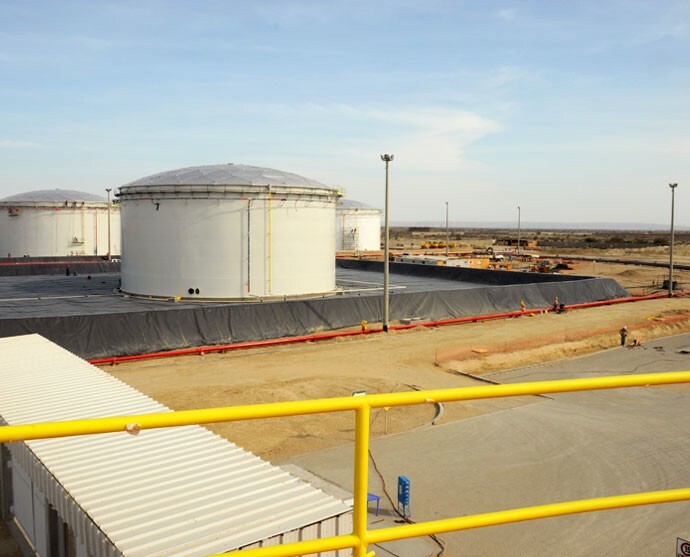 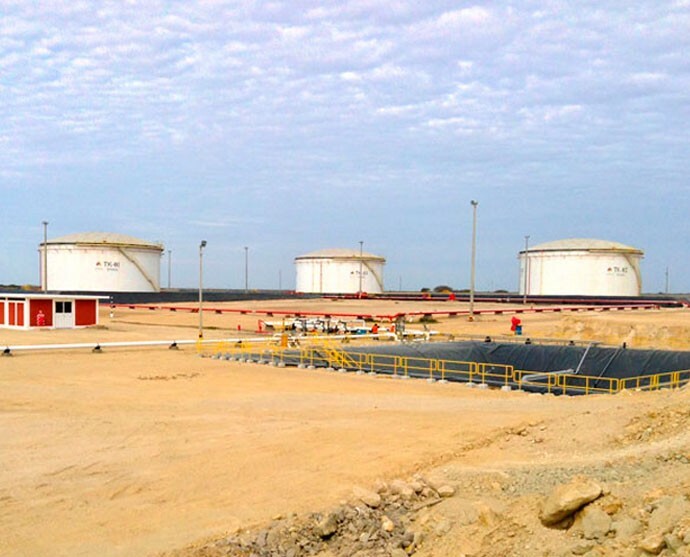 Along the years, it specialized in liquid storage tanks of all different capacities, nowadays it is recognized as the most qualified and experienced company in Peru. 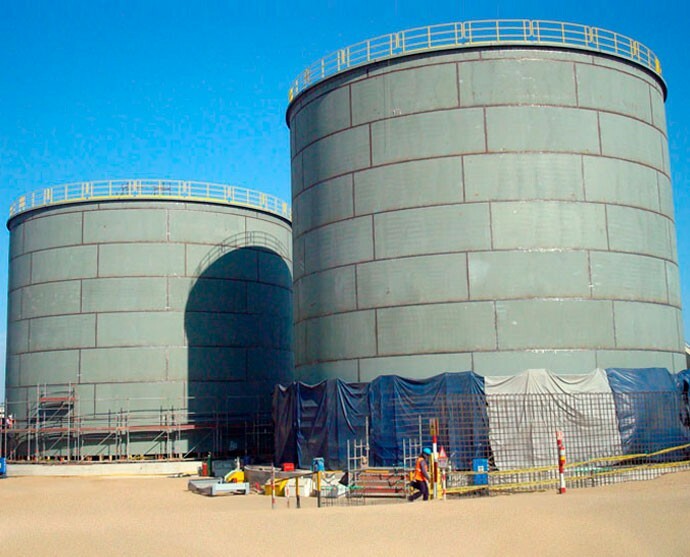 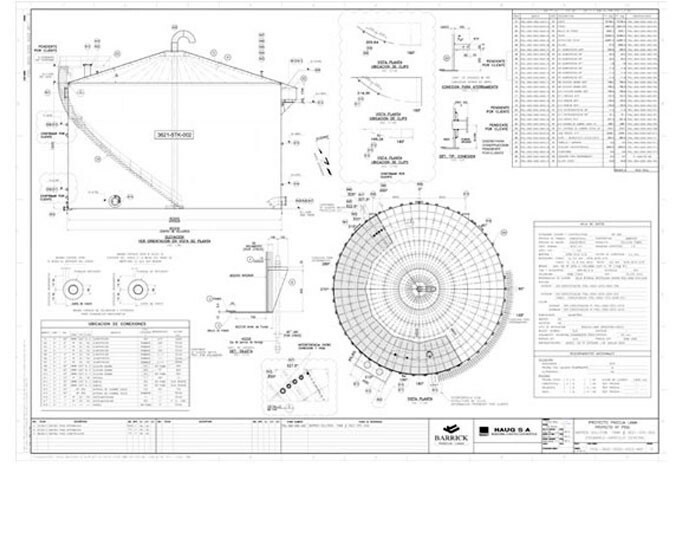 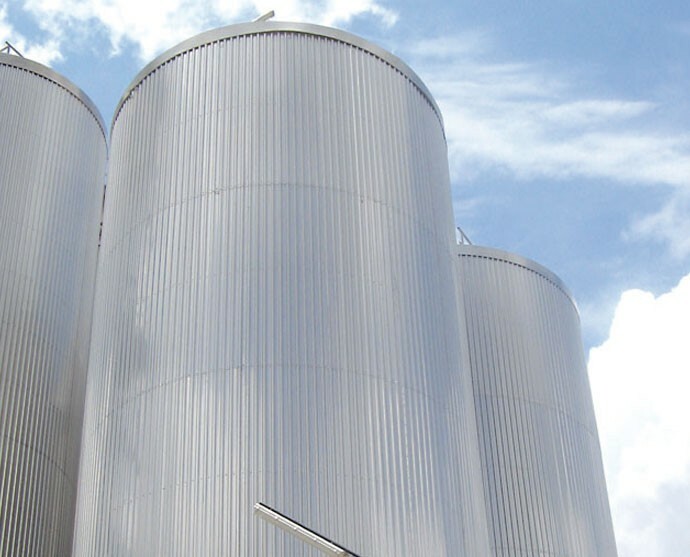 In the engineering of the tanks Haug applies the API 650, API 653, API 620, AWS and ASME code standards. 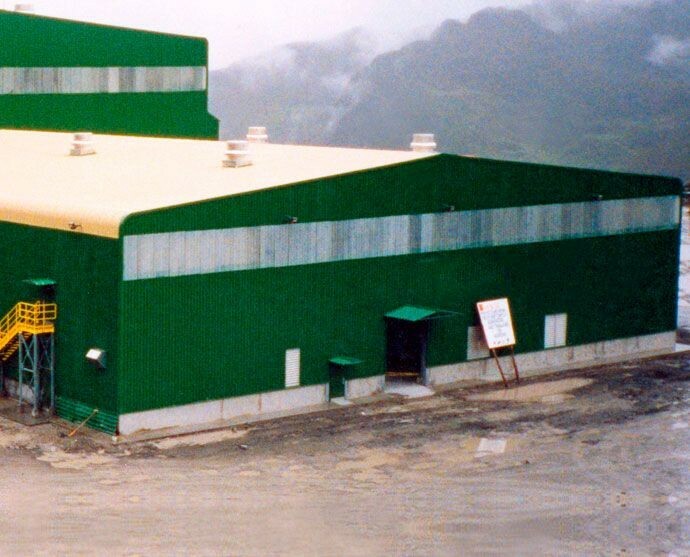 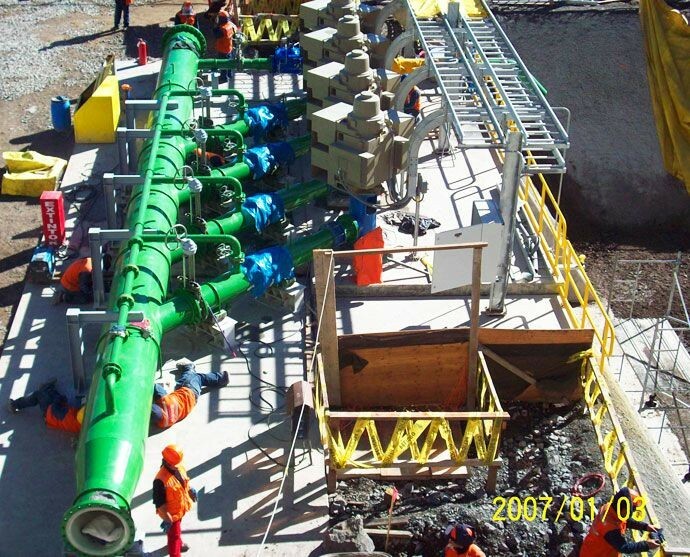 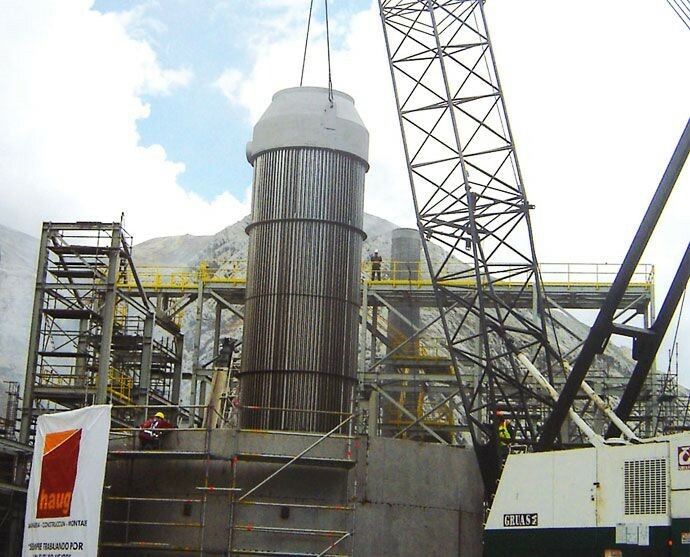 COBRA INSTALACIONES Y SERVICIOS S.A.
Haug along the years specialized in fabrication and erection, in some cases, of process equipment for mining, hydrocarbons and other productive fields. 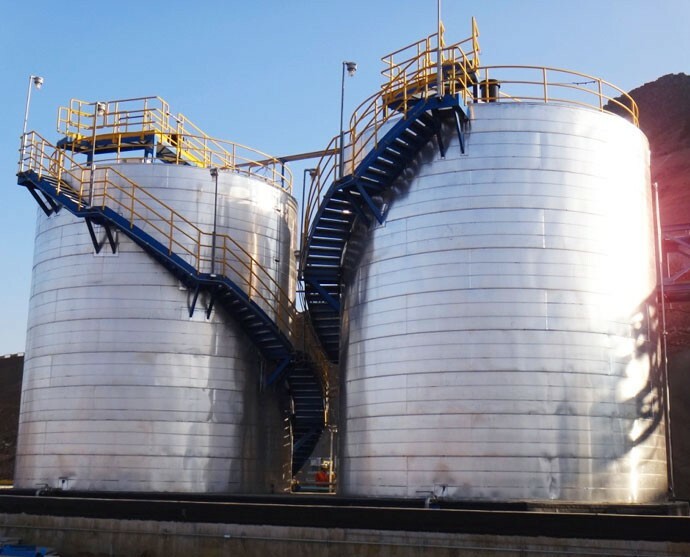 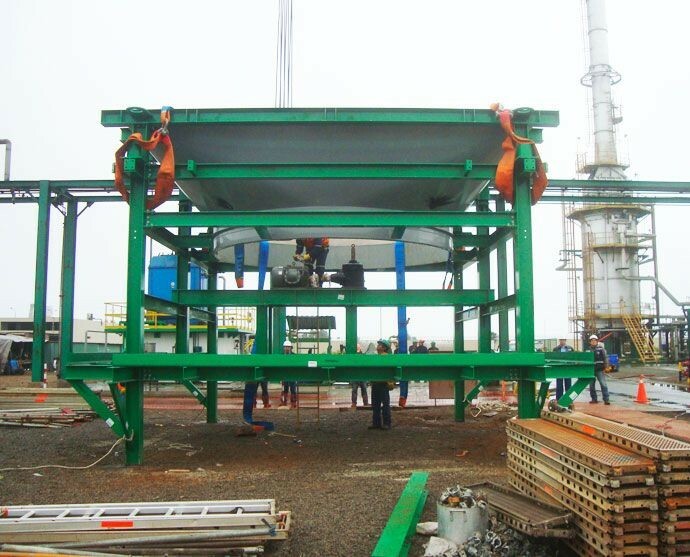 Some of this equipment are: flotation cells od different kinds, thickeners, clarifiers, pressure vessels of different shapes, etc.In the fabrication of this process tanks Haug applies the API 650, API 653, API 620, AWS and ASME code standards. 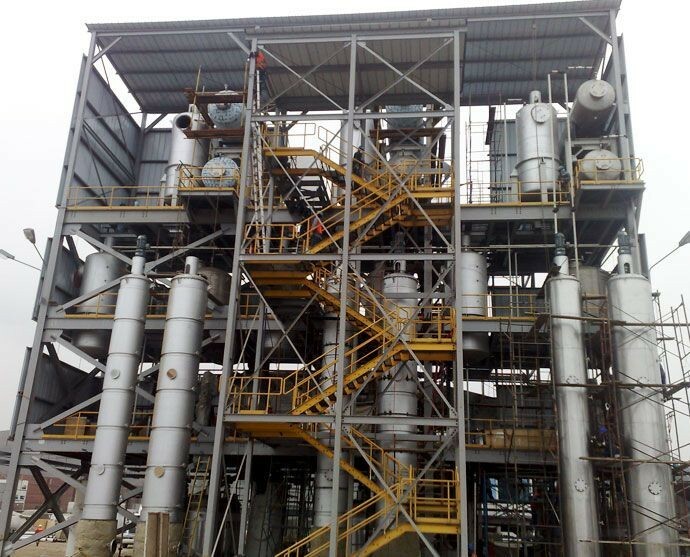 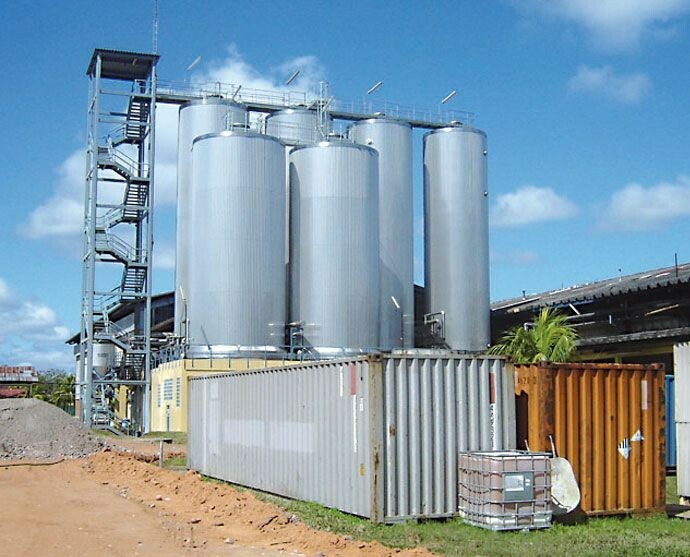 AIR PRODUCT AND CHEMICAL INC.
UNION DE CERVECERIAS PERUANAS BACKUS & JOHNSTON S.A.A. 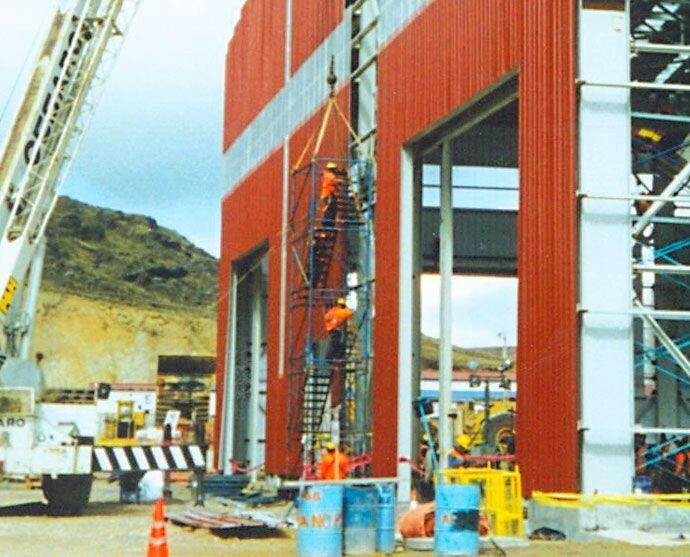 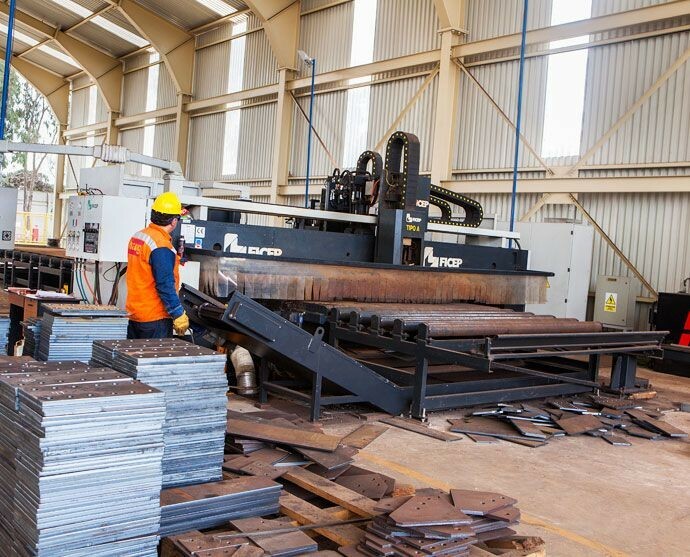 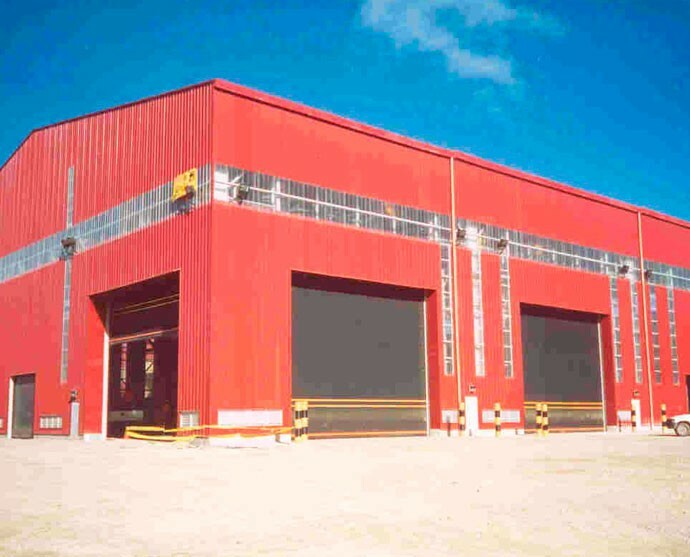 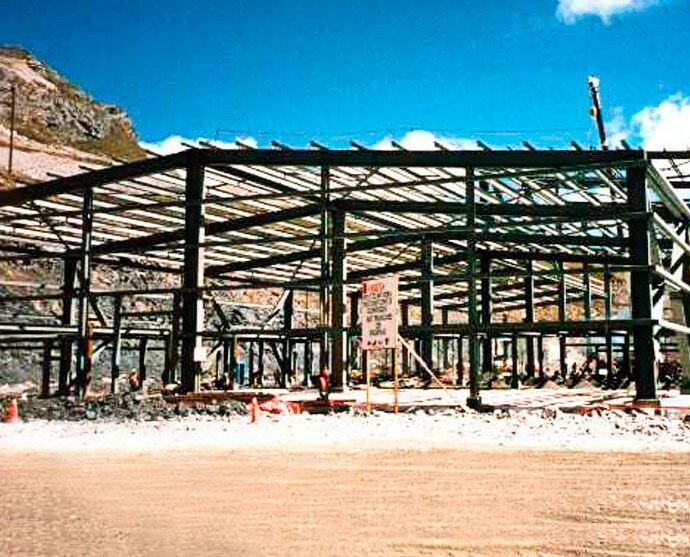 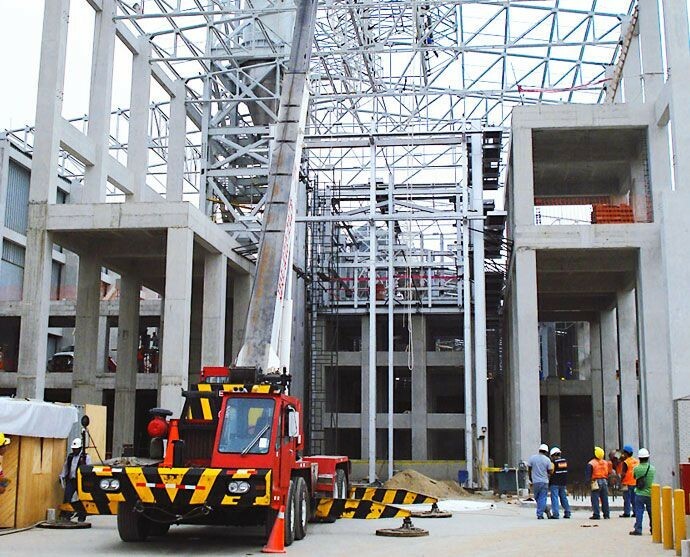 Haug S.A. specializes in the manufacture and construction of all type of metal structures in its 2 fabrication shops in Callao and Lurin. 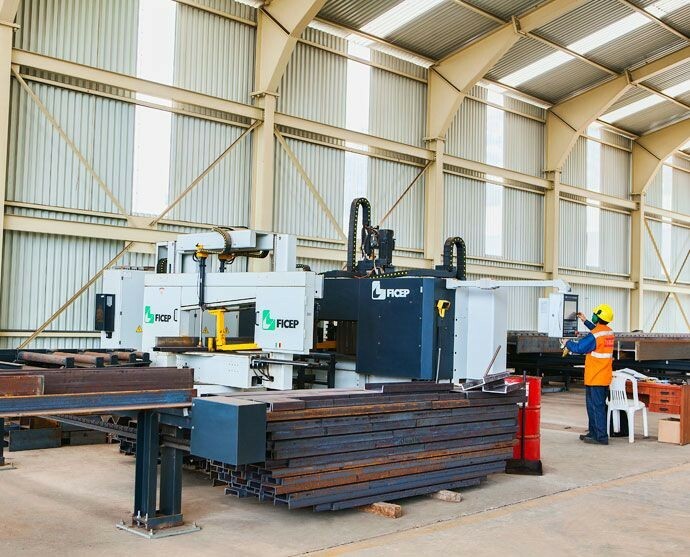 Both shops provide the equipment required for the fabrication of metal structures, developing quality control procedures. 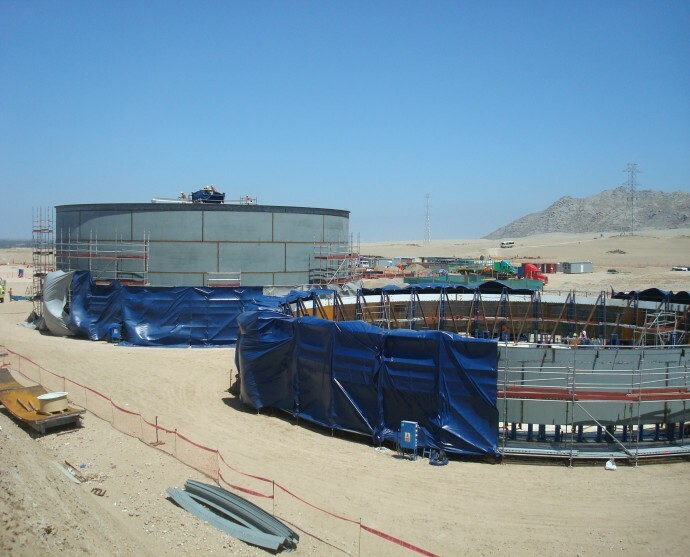 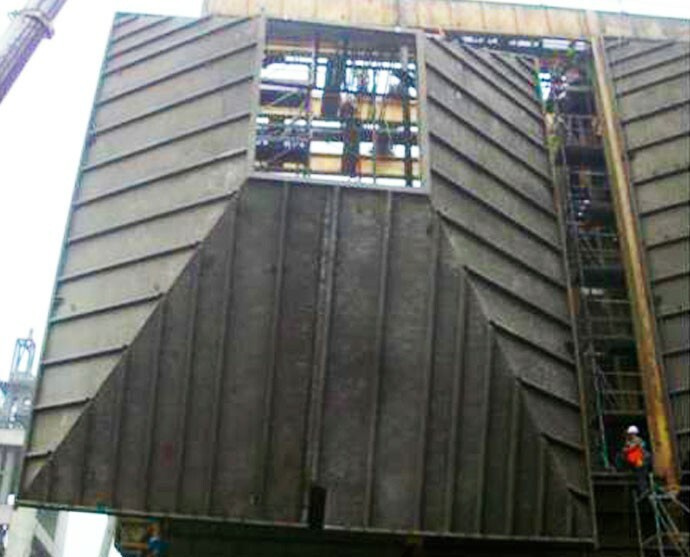 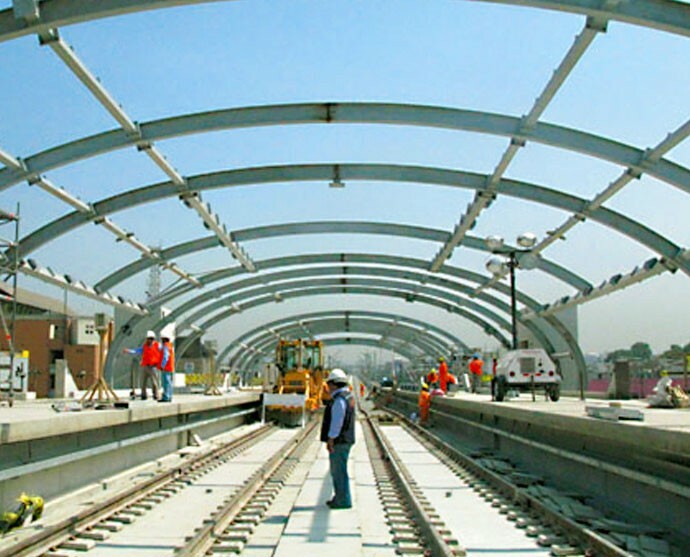 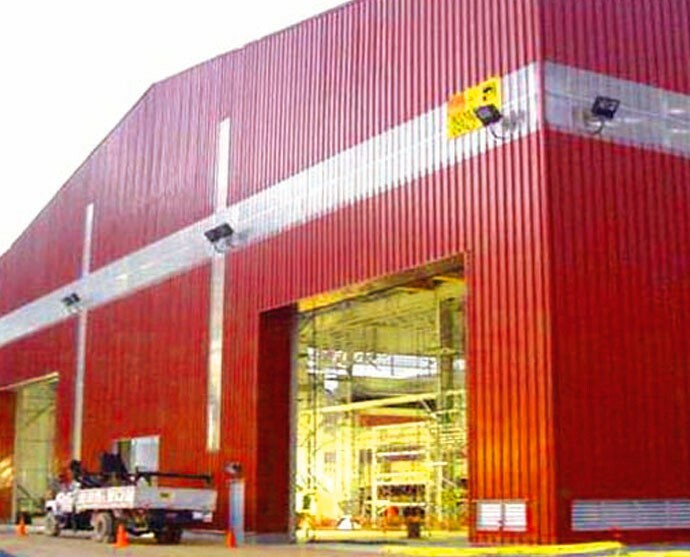 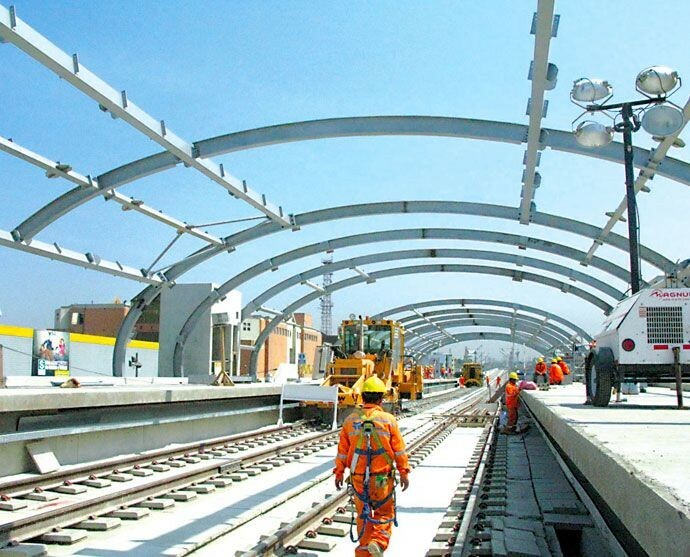 BECHTEL CHILE LTDA. 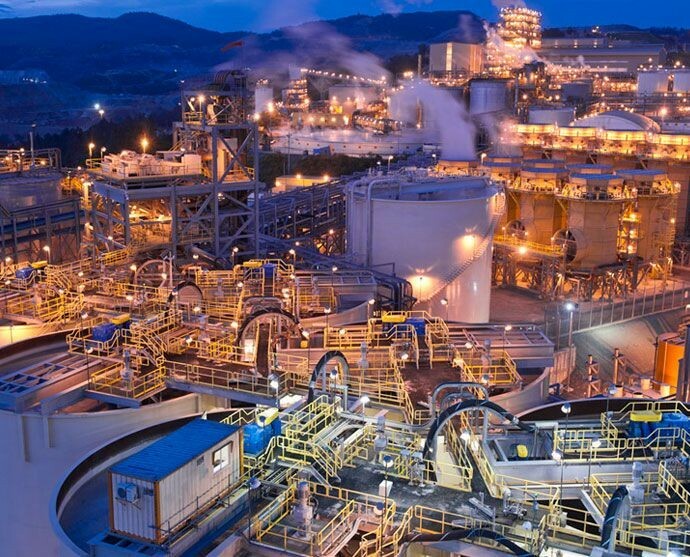 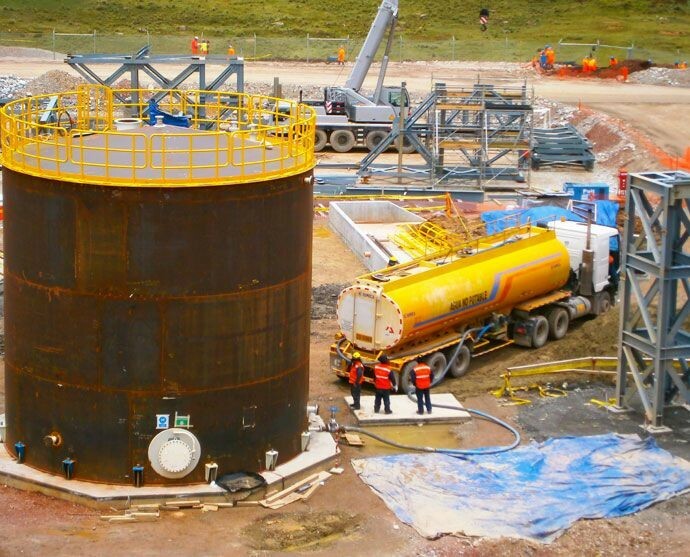 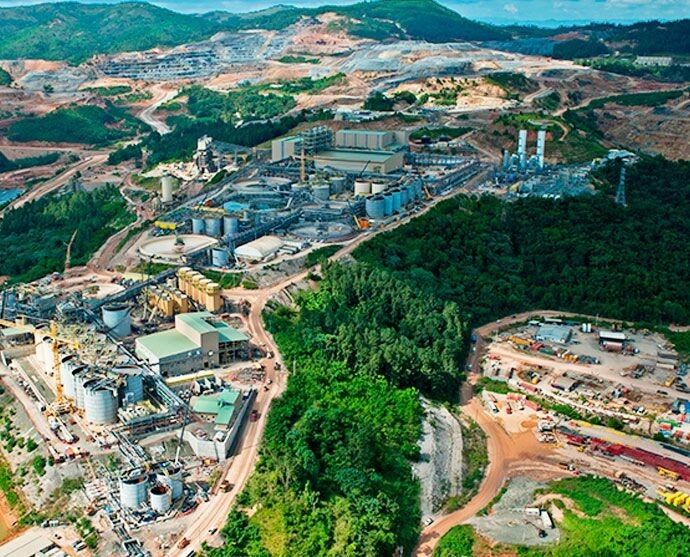 / XSTRATA LAS BAMBAS S.A.
BECHTEL CHILE LTDA. 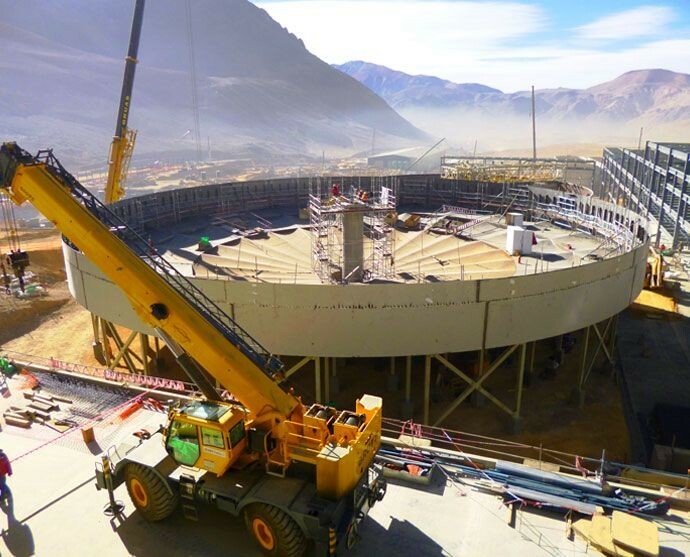 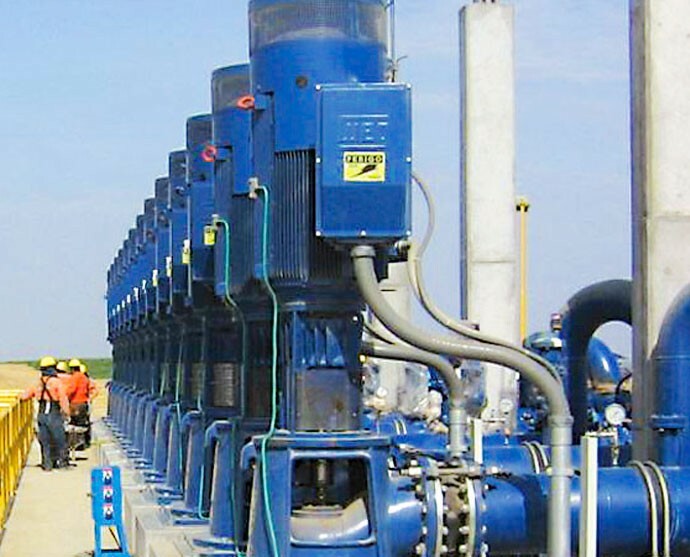 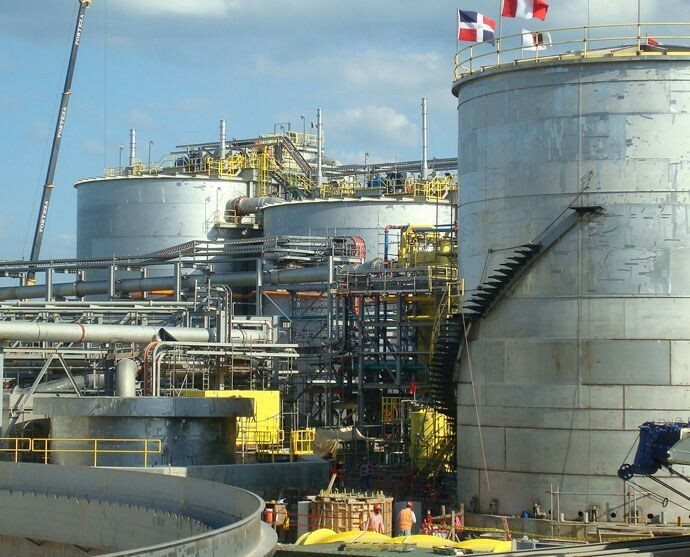 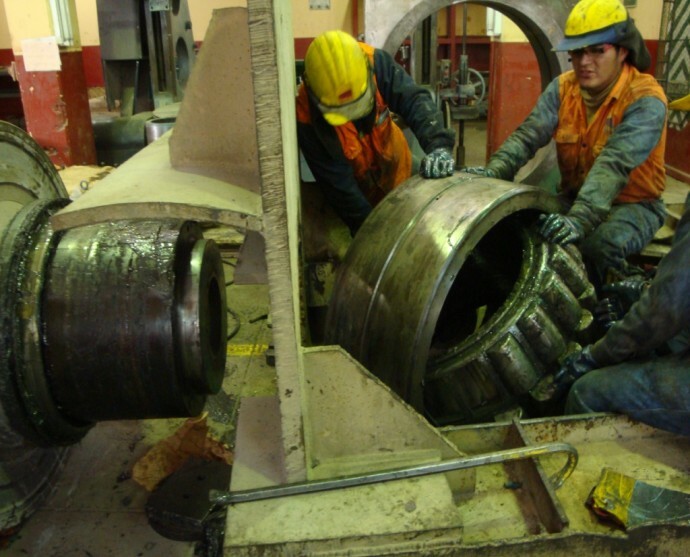 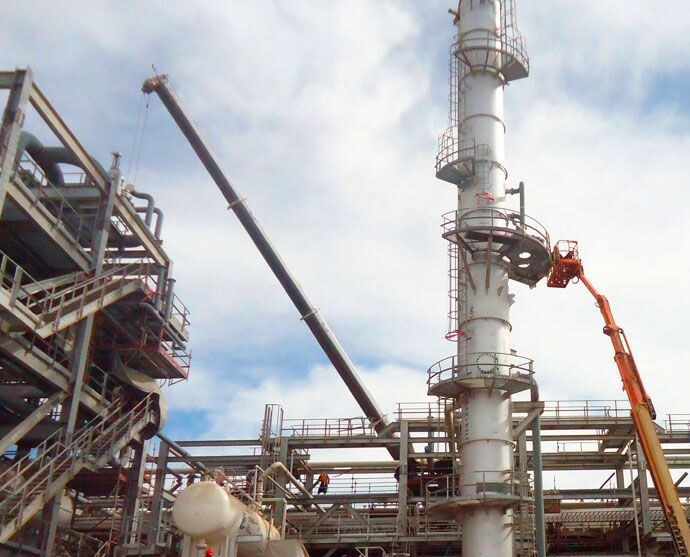 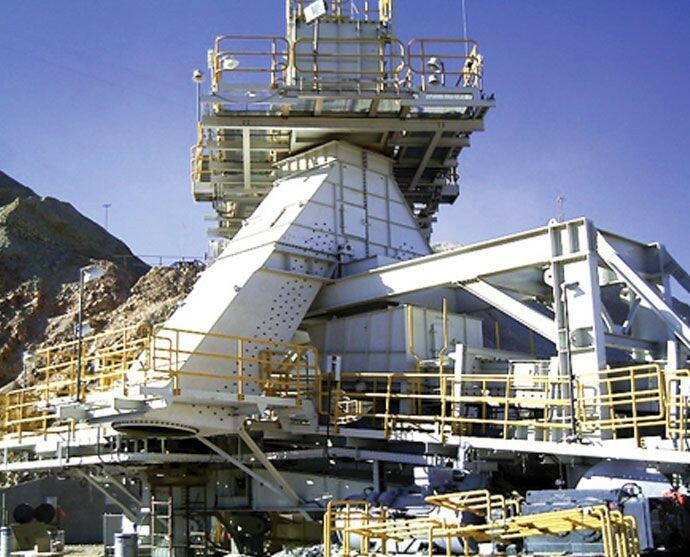 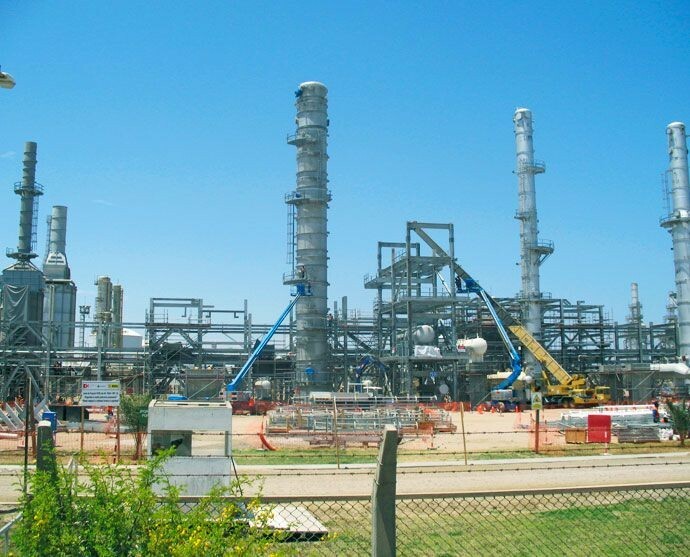 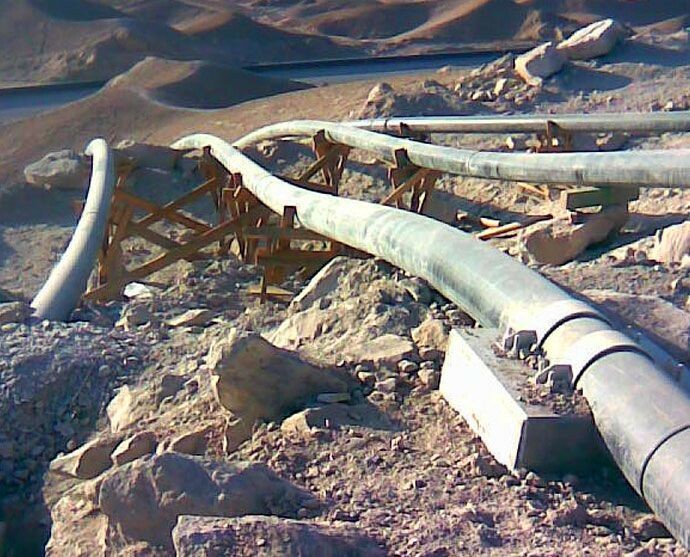 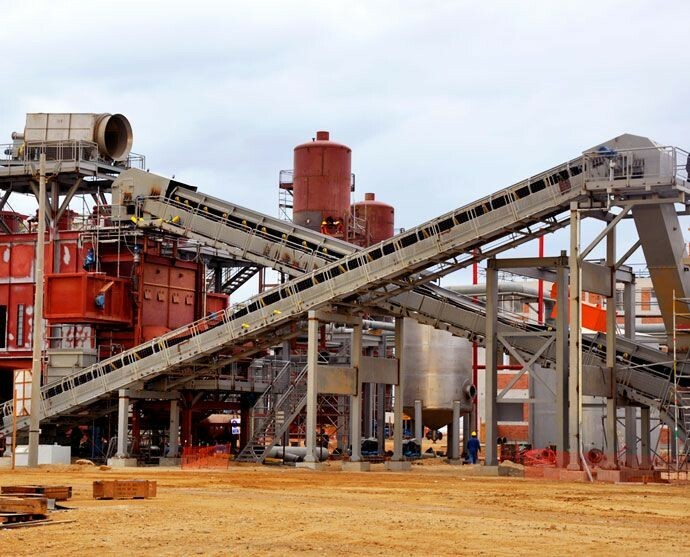 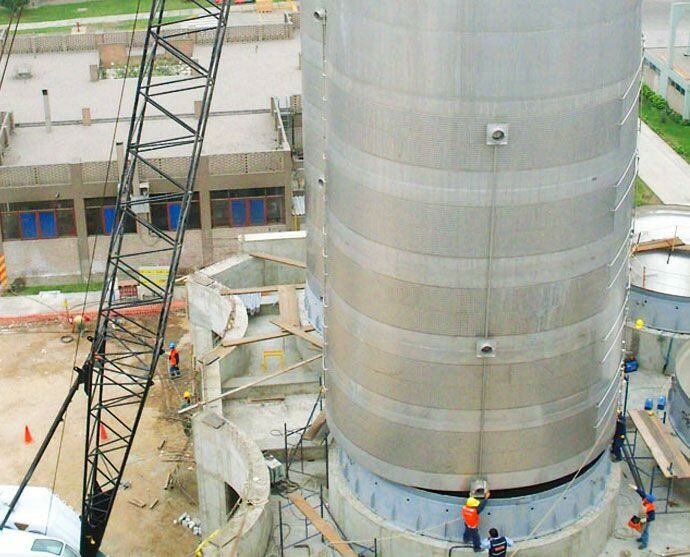 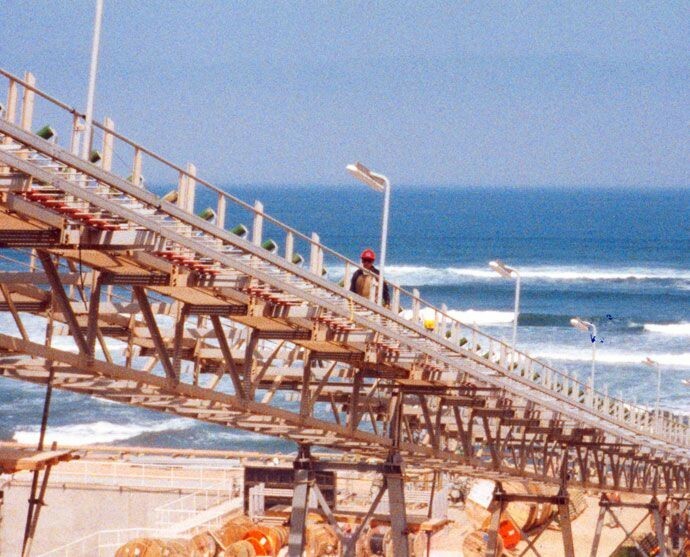 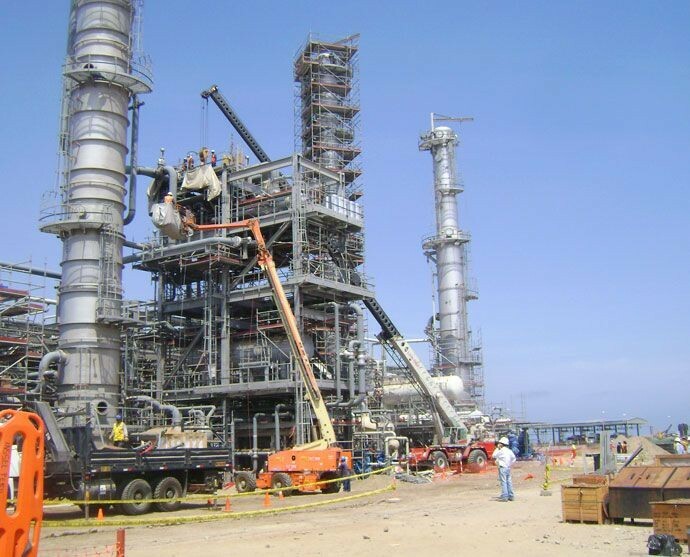 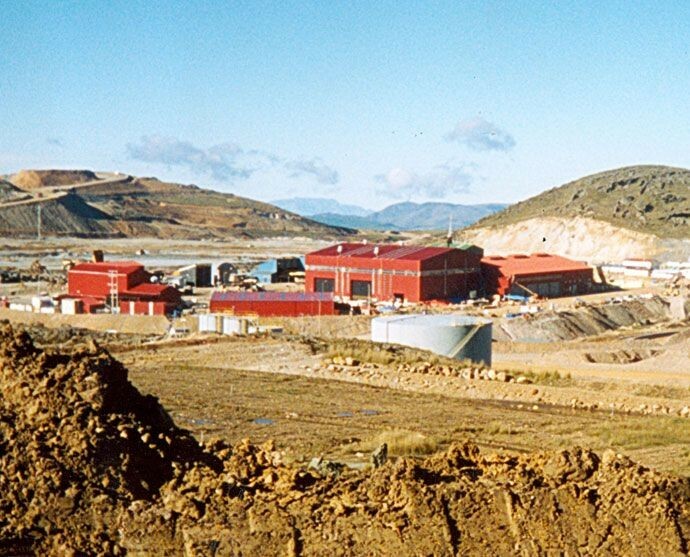 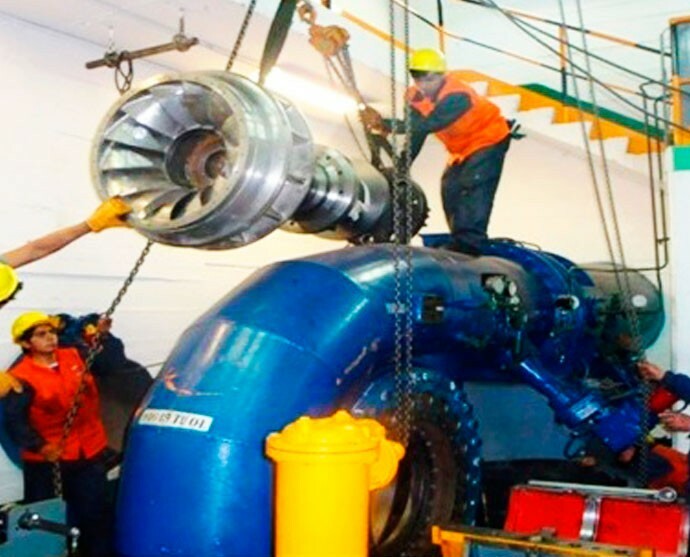 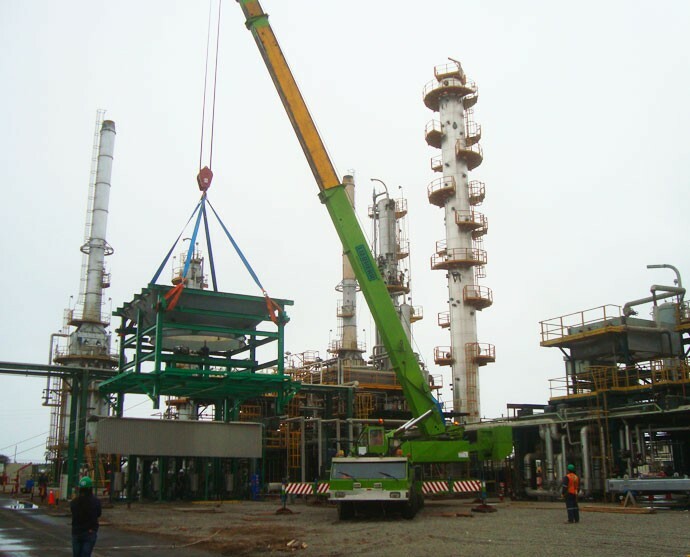 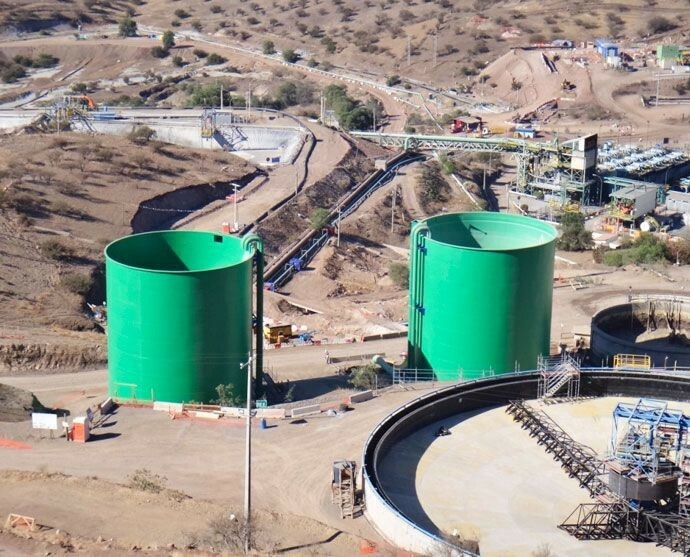 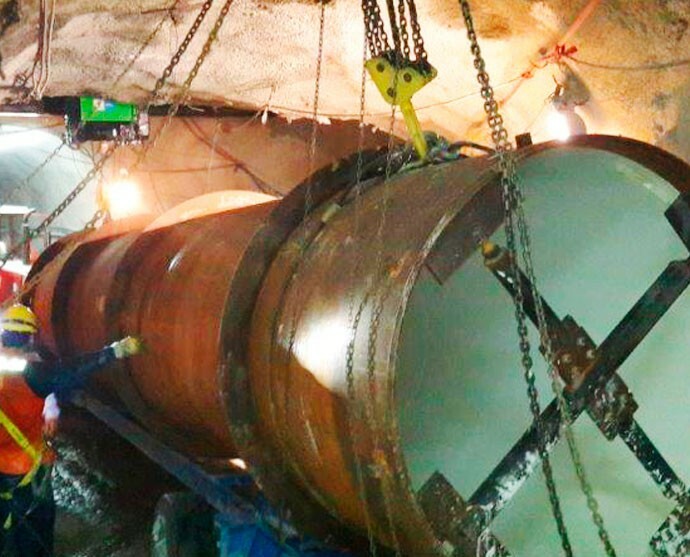 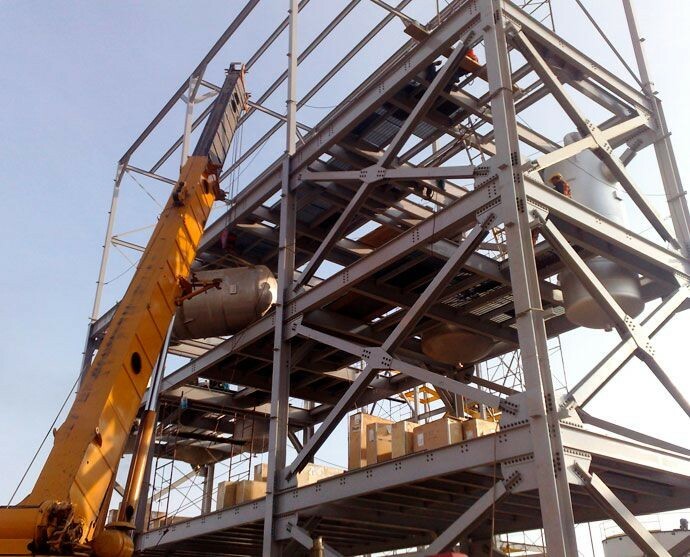 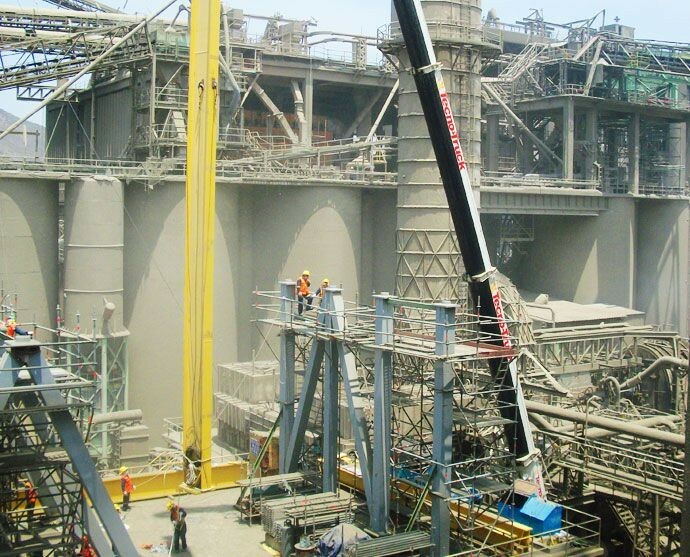 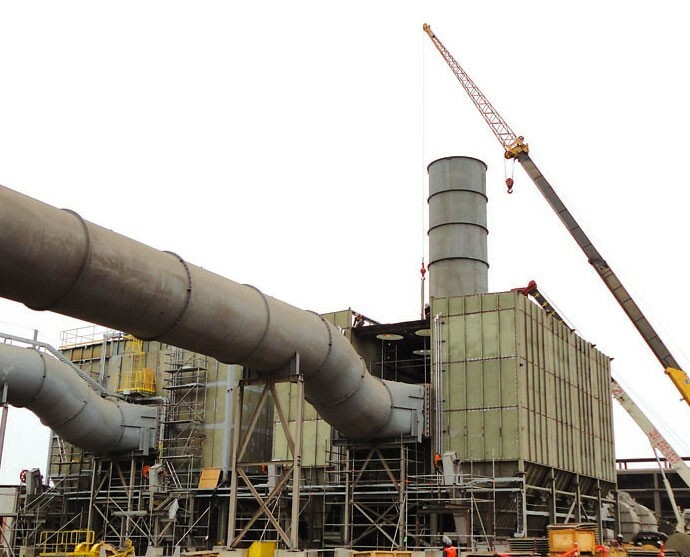 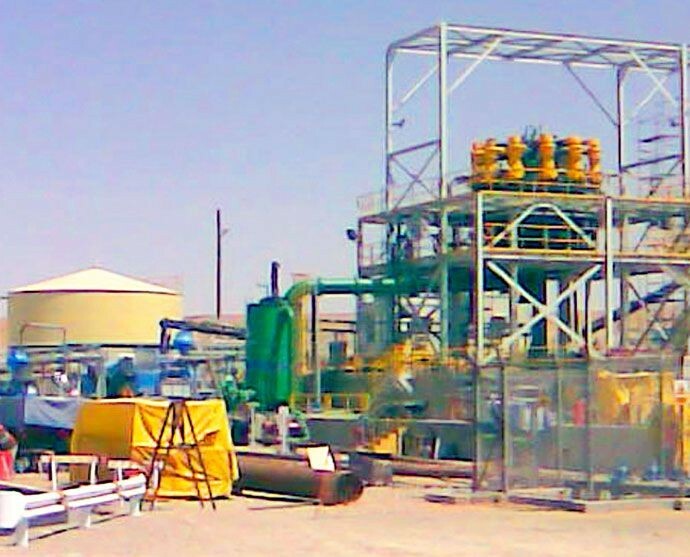 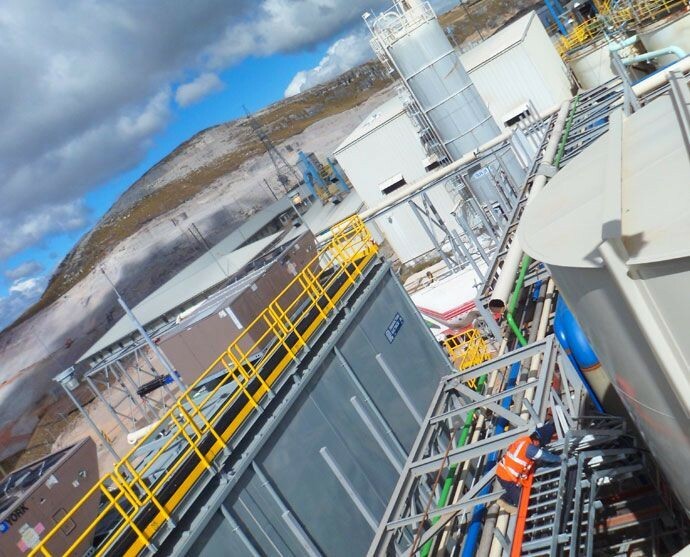 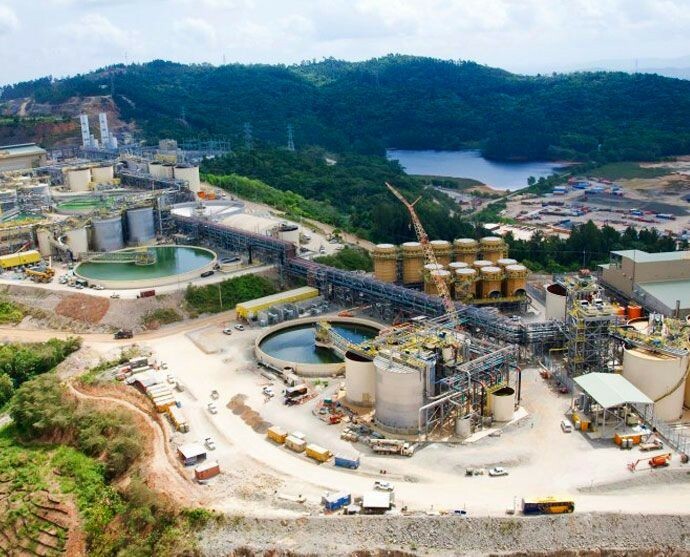 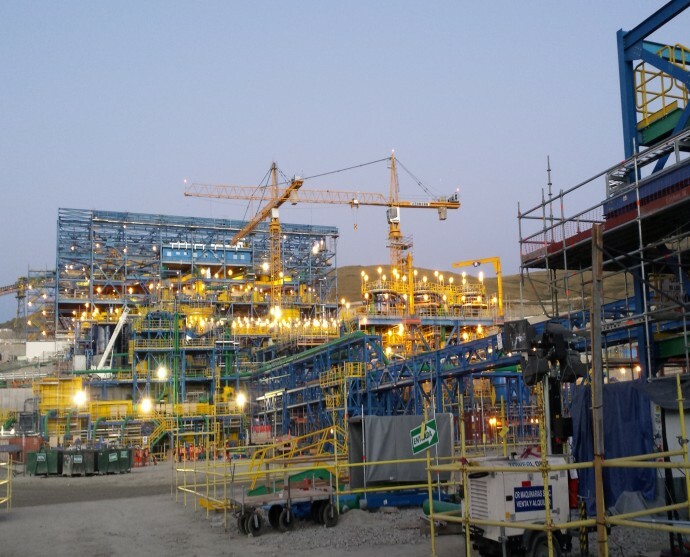 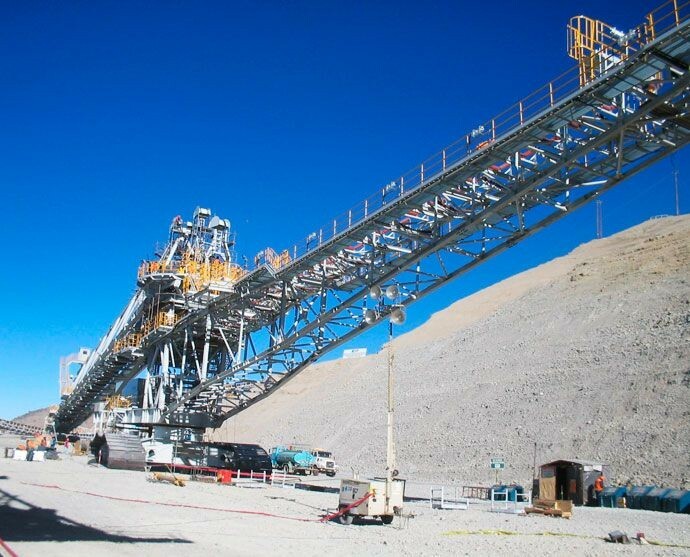 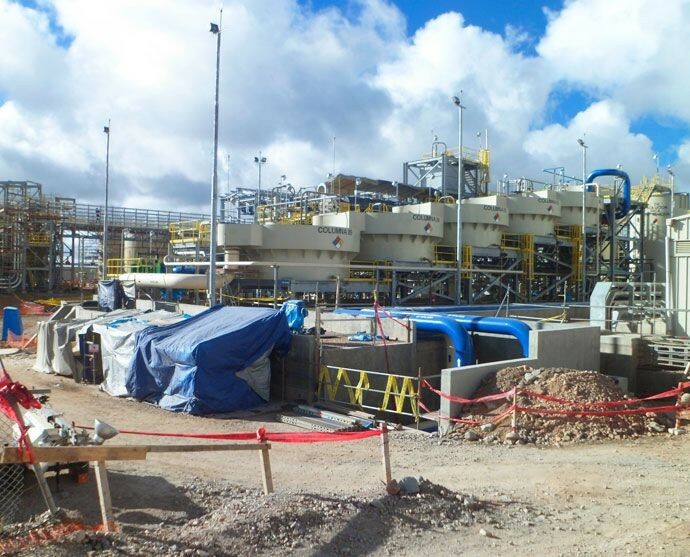 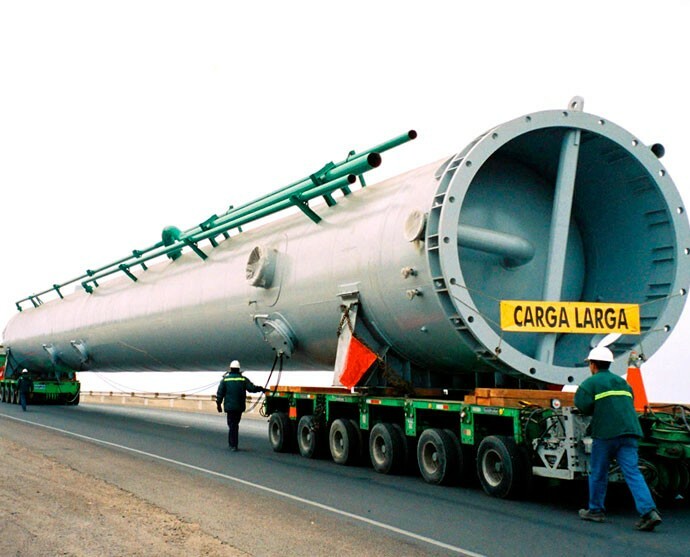 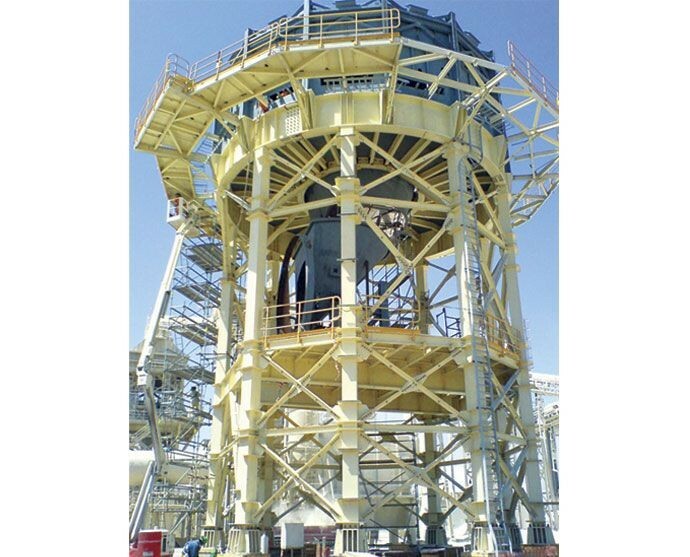 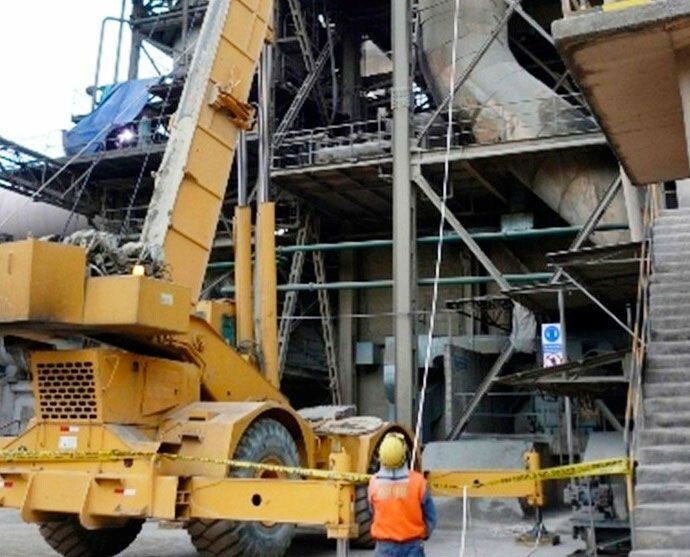 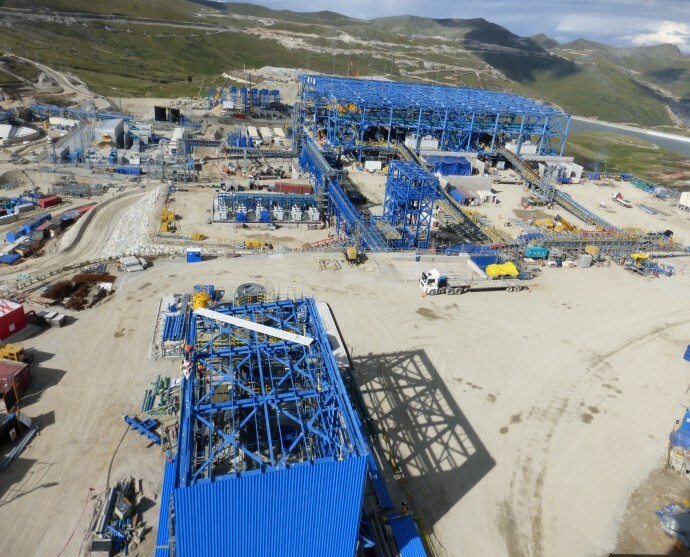 como agente de XSTRATA LAS BAMBAS S.A.
Haug S.A. provides electromechanical erection services, including transportation, assembly, testing and delivery in operating conditions. 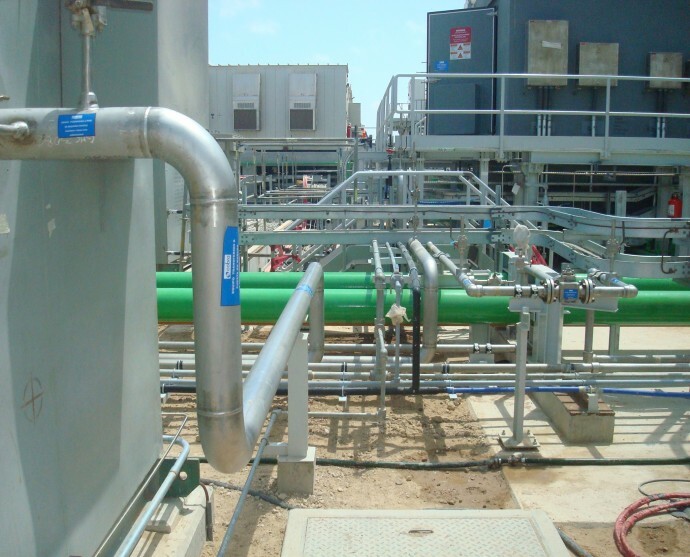 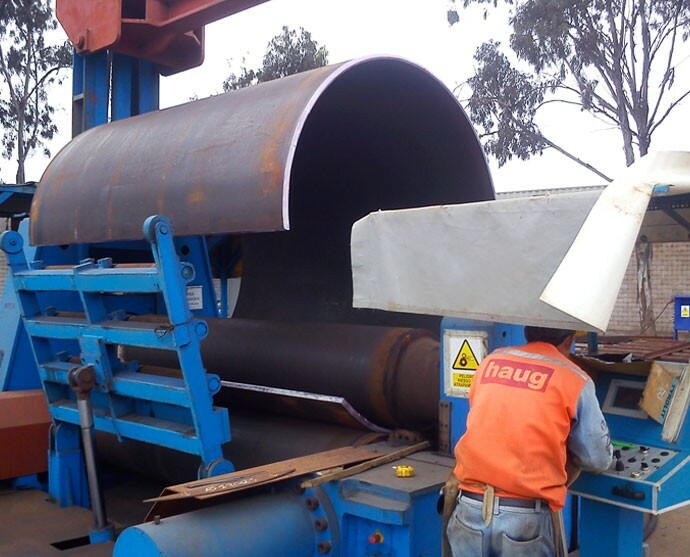 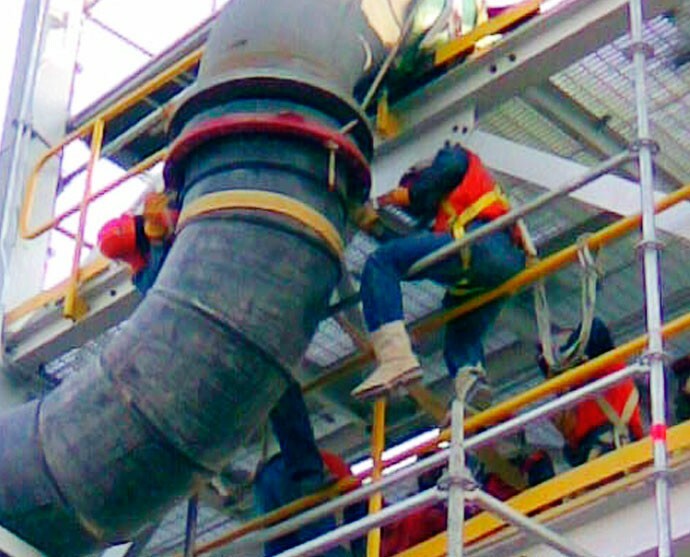 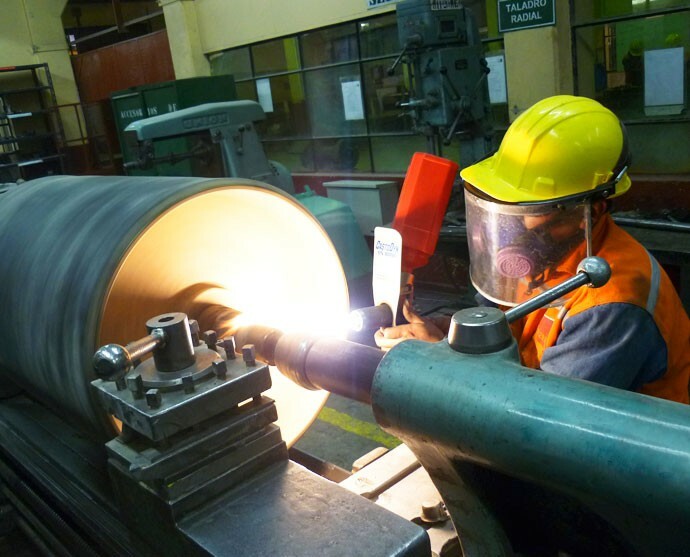 Haug S.A. provides the installation of different types of carbon-steel, stainless steel and HDPE pipes and ducts, including welding, connections, fittings, accessories and testing. 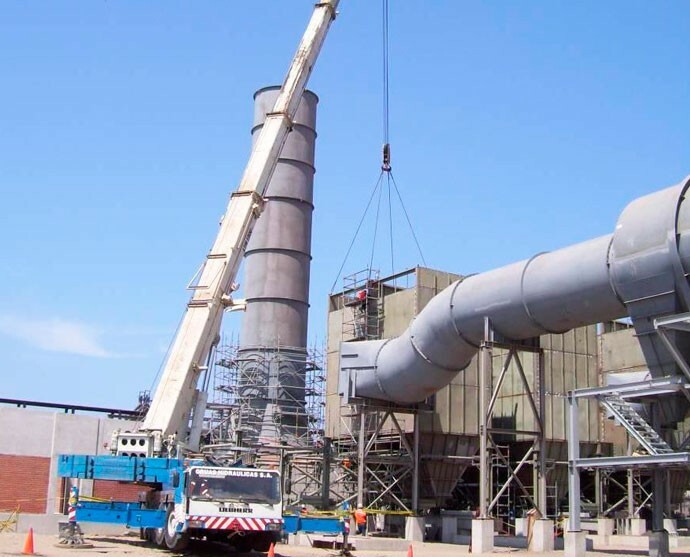 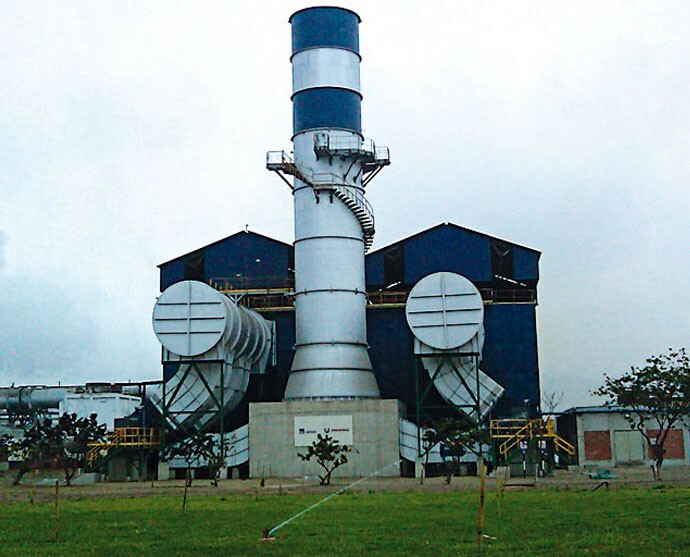 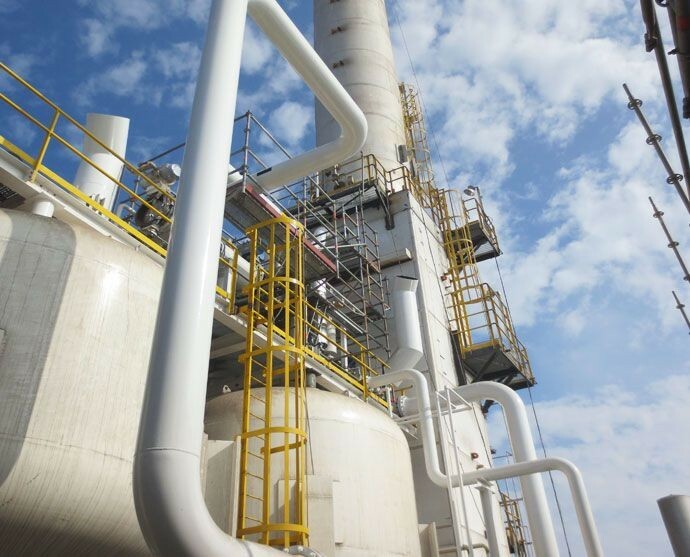 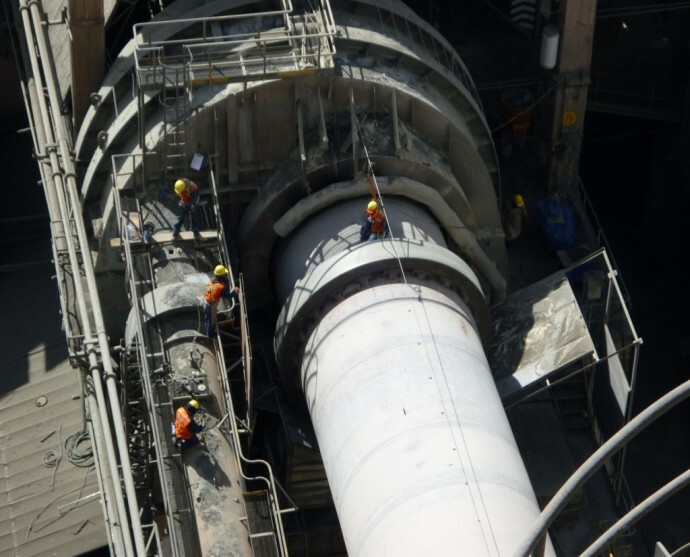 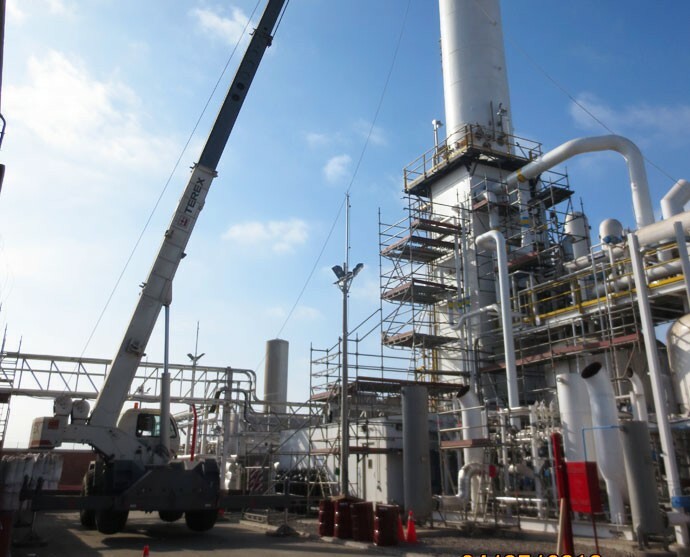 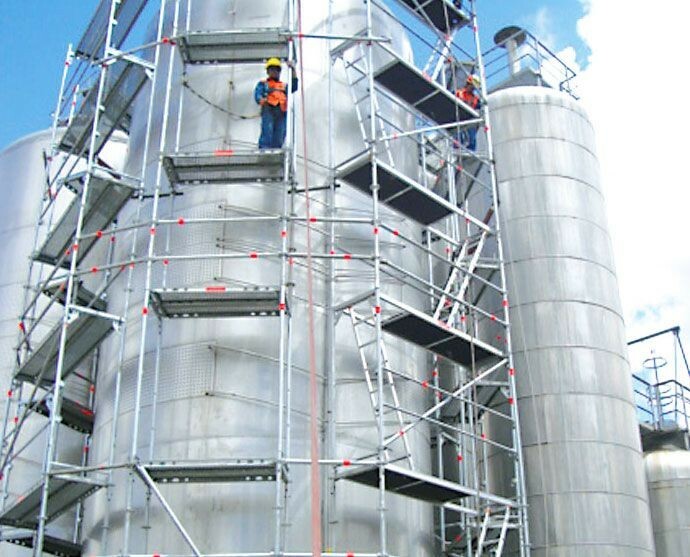 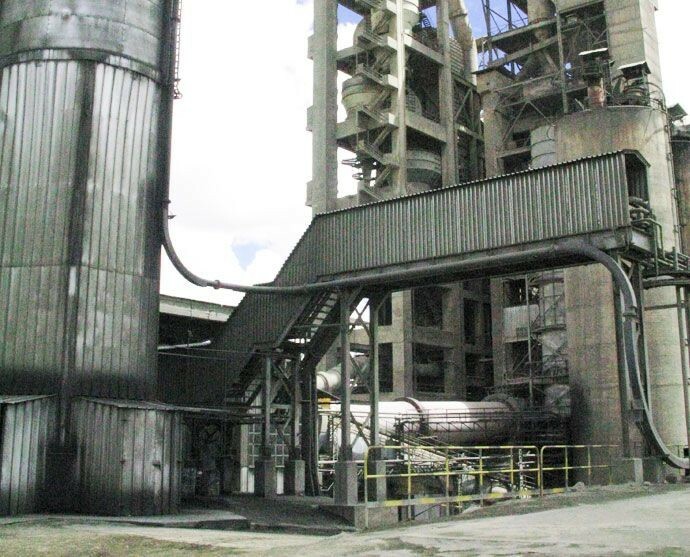 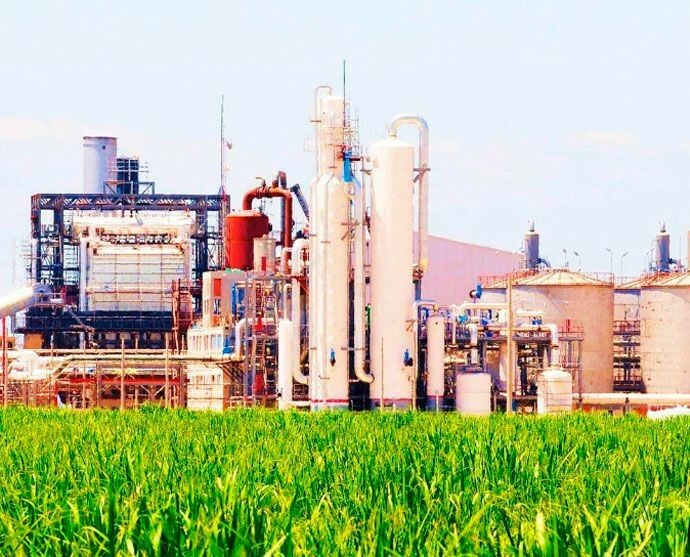 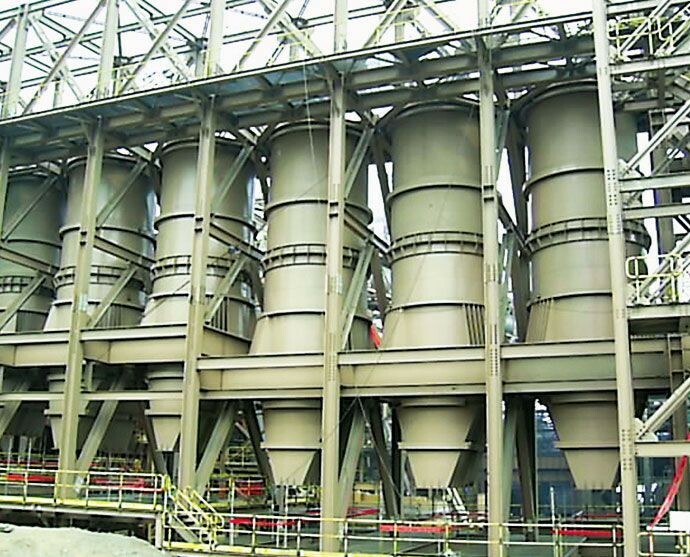 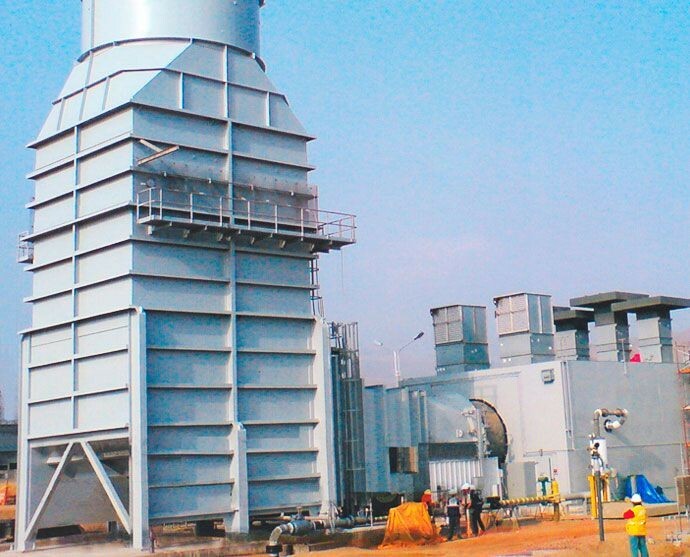 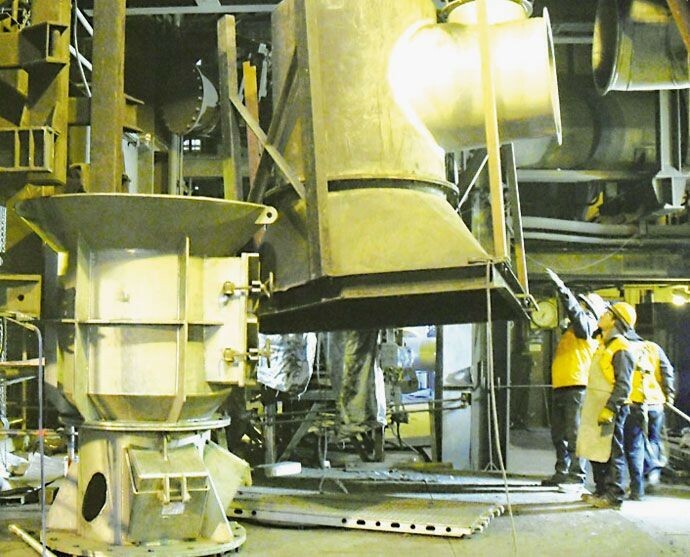 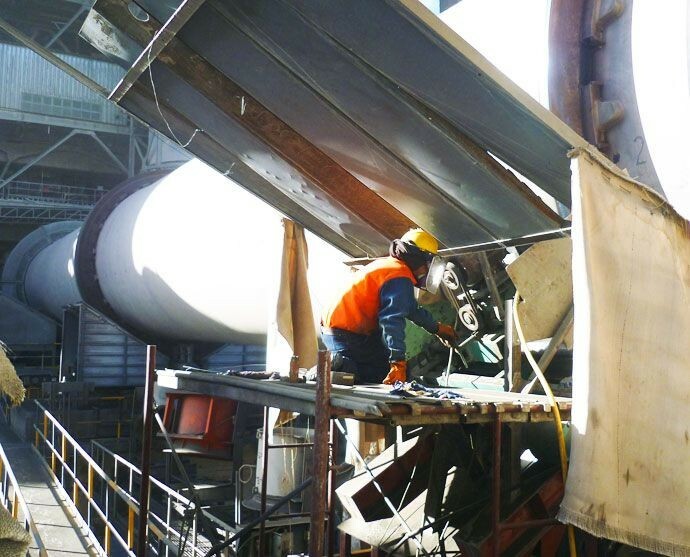 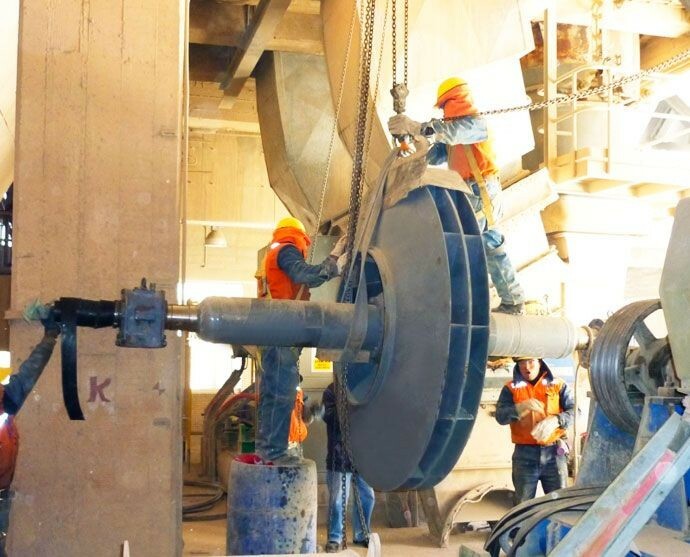 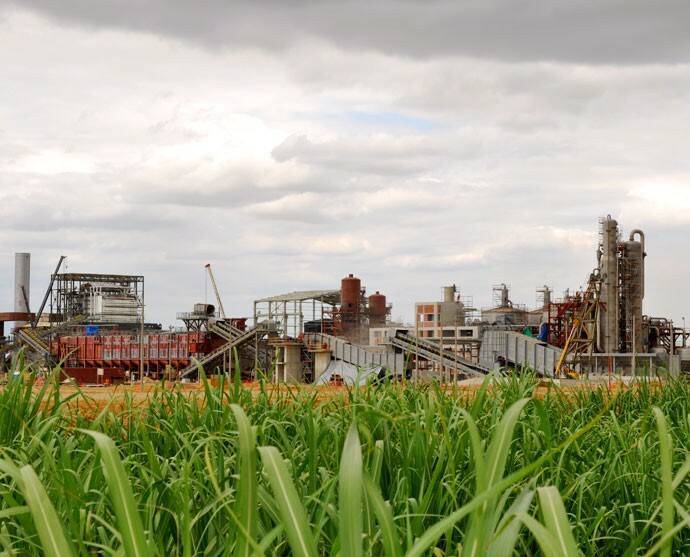 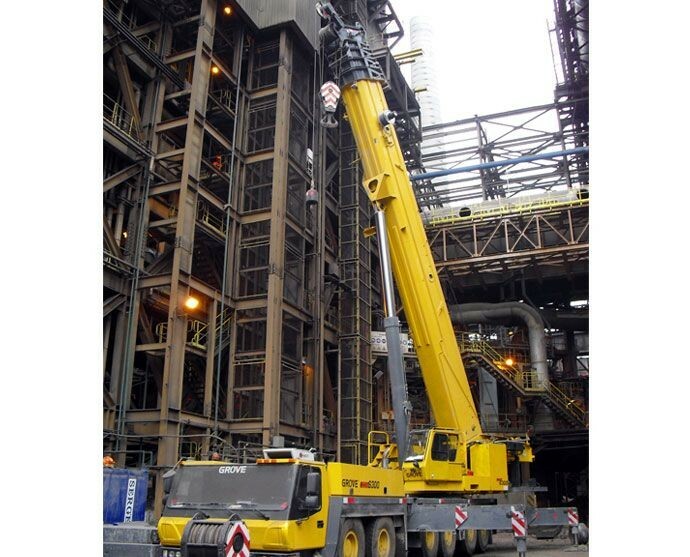 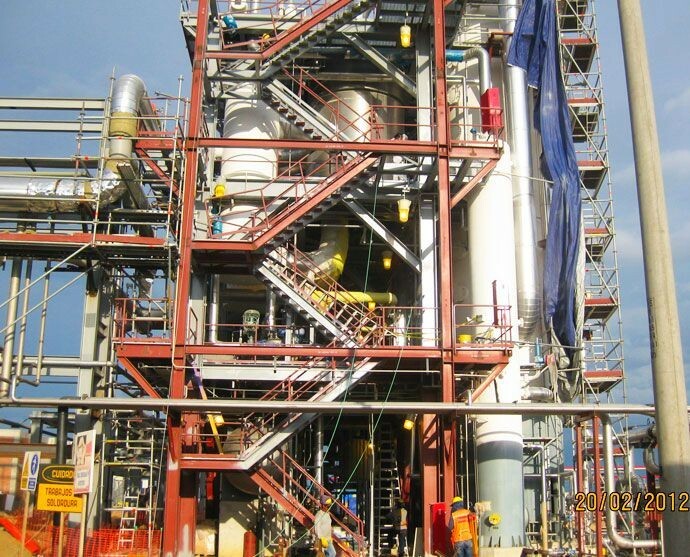 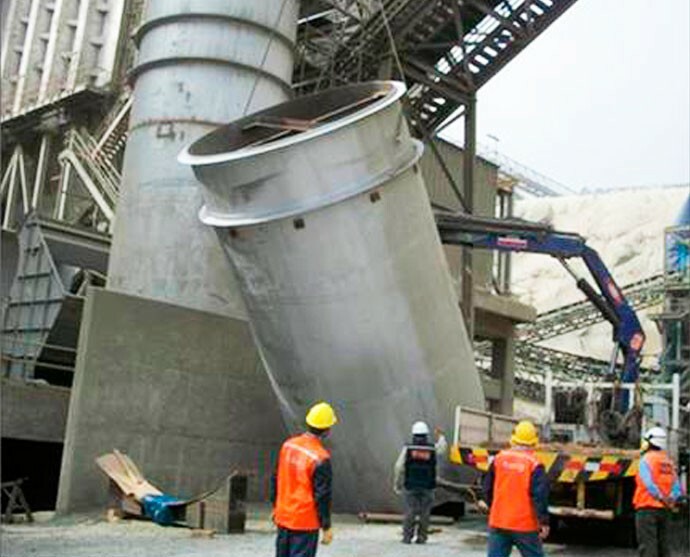 Haug S.A. provides integral maintenance services for factories, cement plants, industrial plants, brewery plants, dairy plants, thermal power stations, hydrocarbon facilities, etc. 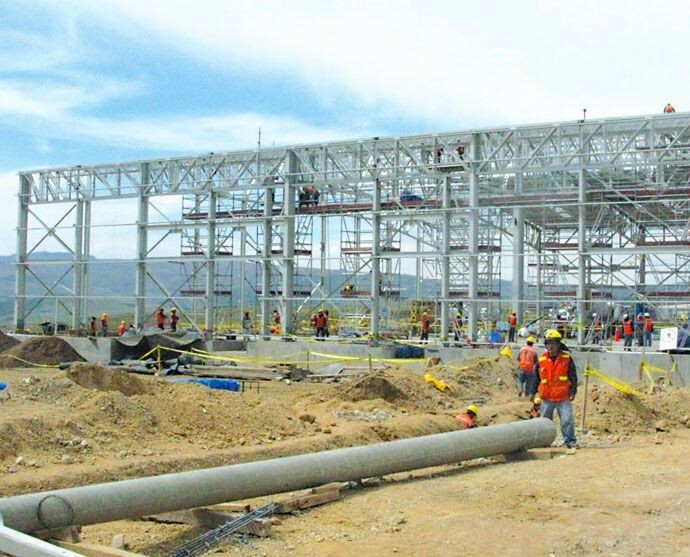 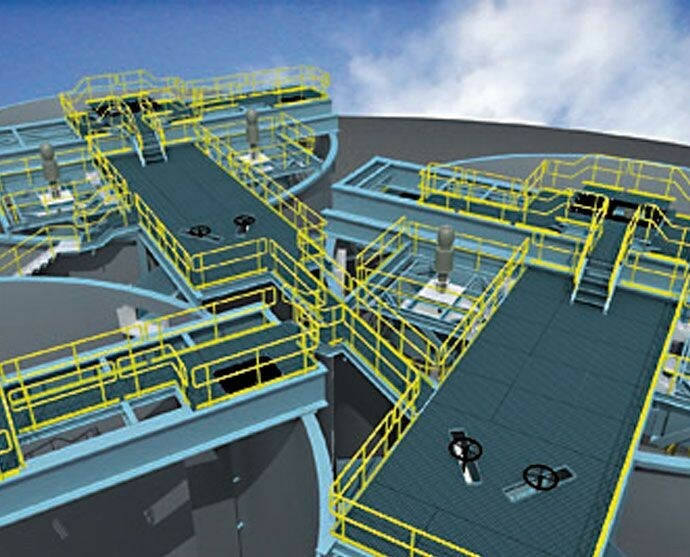 Haug S.A. executes turnkey projects, including the conceptual, basic and detail engineering development, manufacture, construction, transportation, electromechanical installations, pipes, electromechanical assembly, automation, testing and delivery in operating conditions. 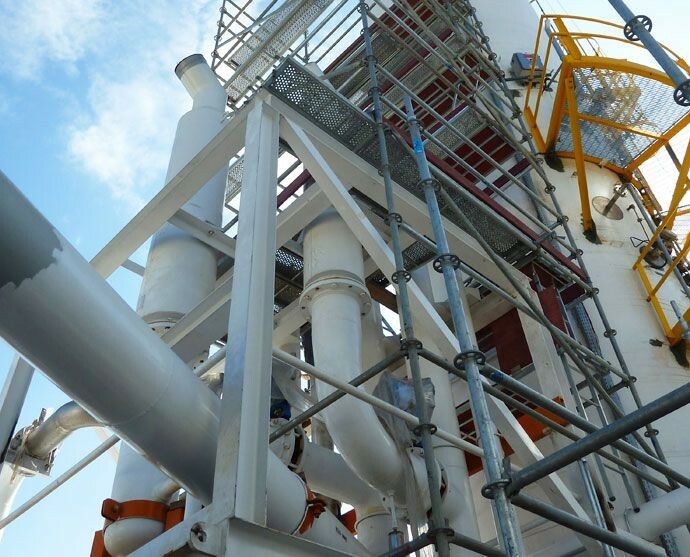 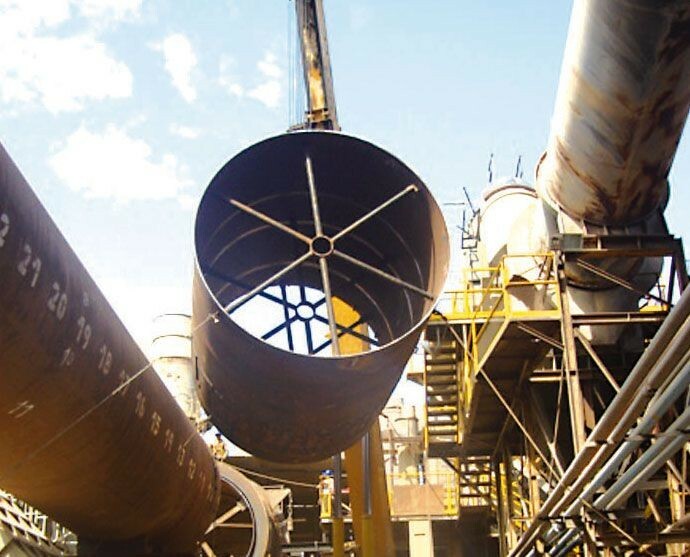 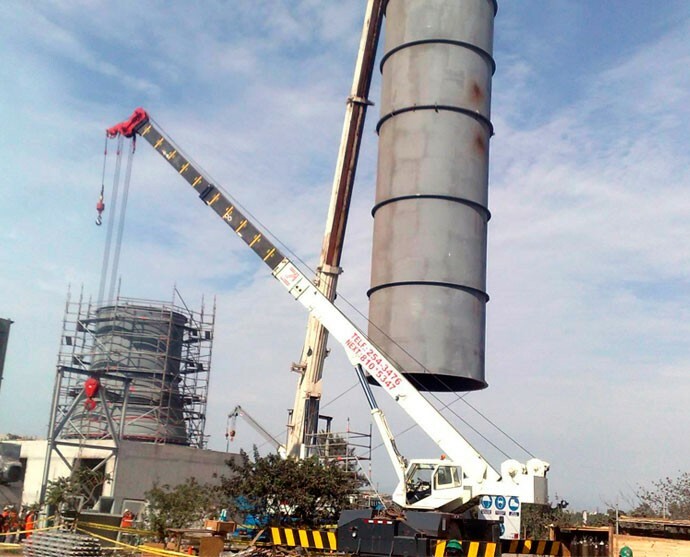 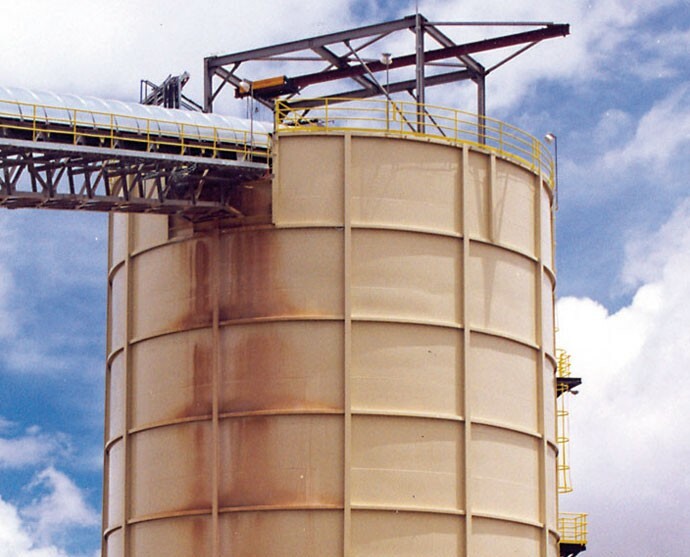 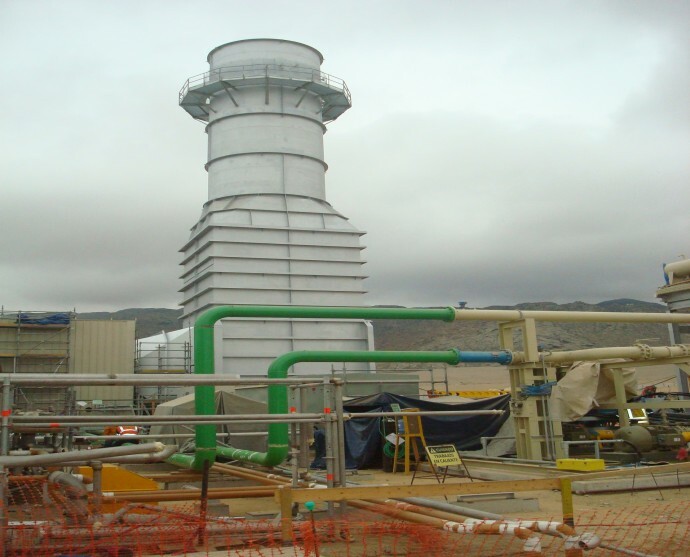 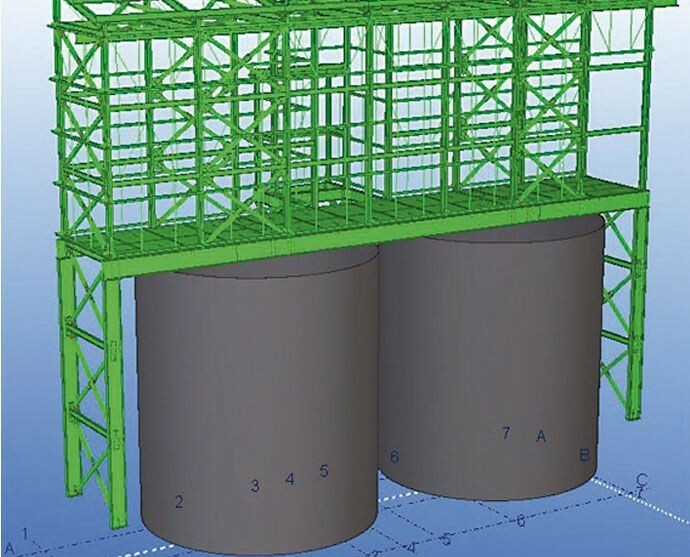 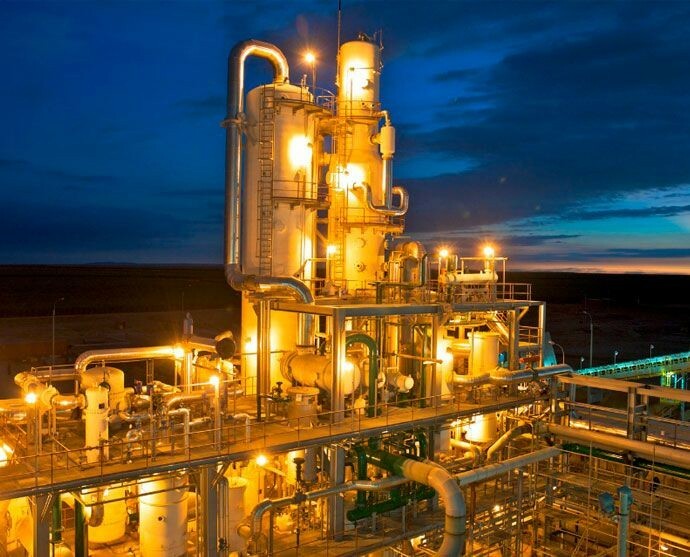 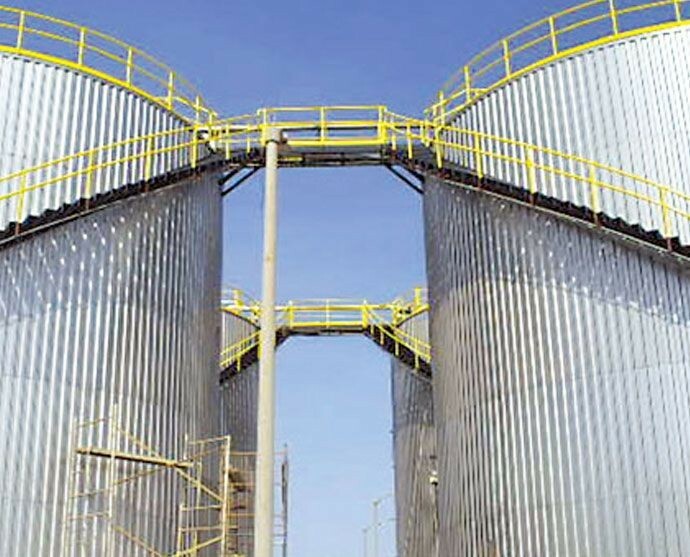 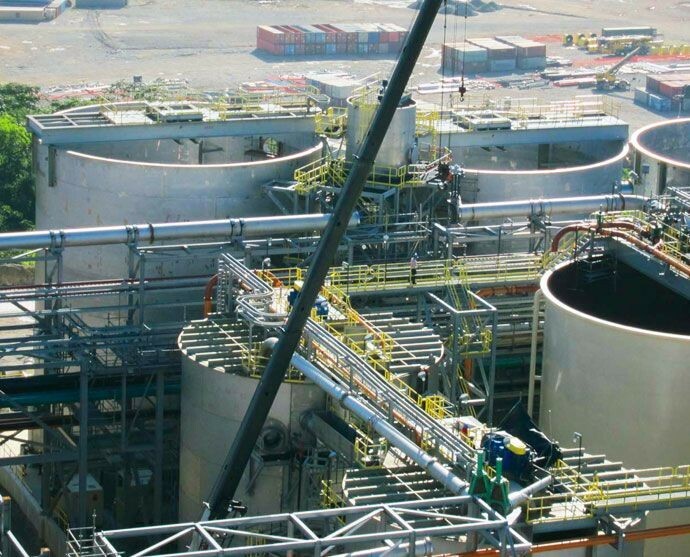 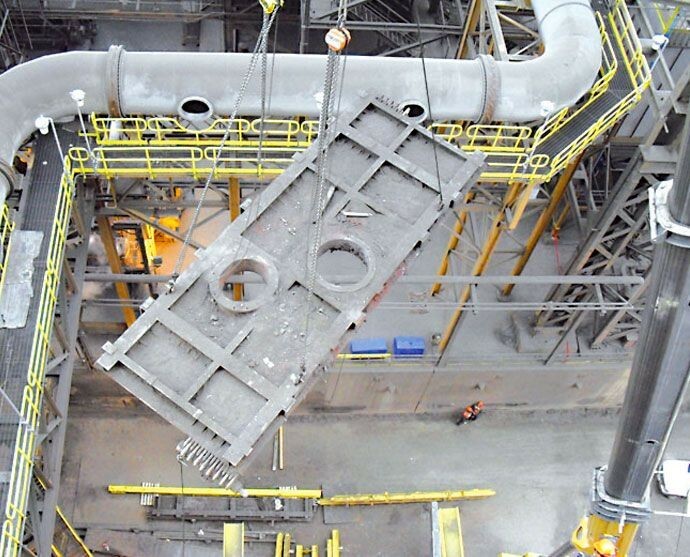 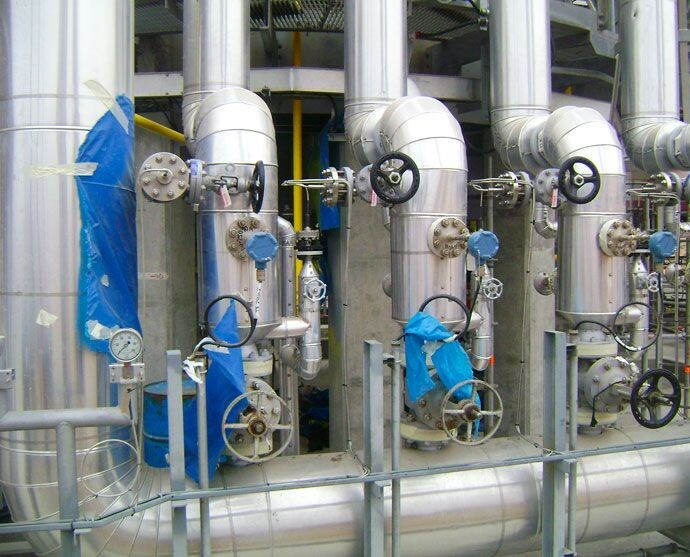 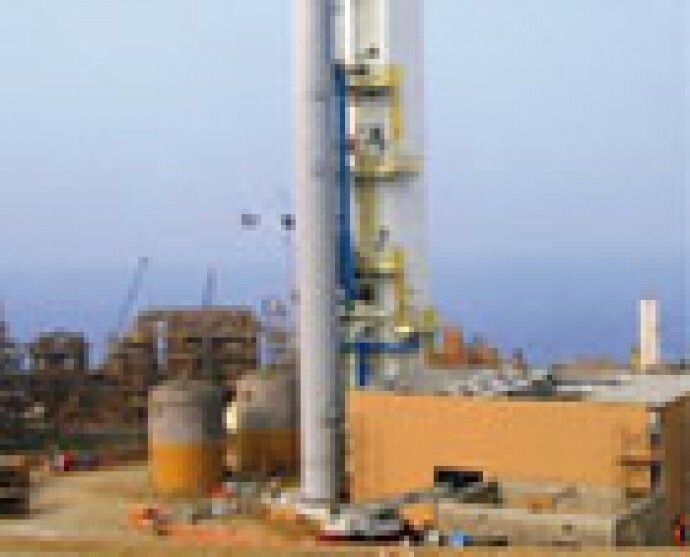 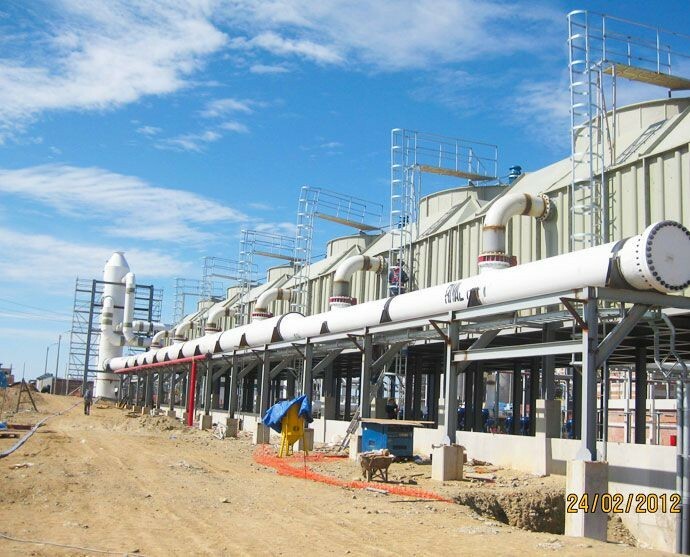 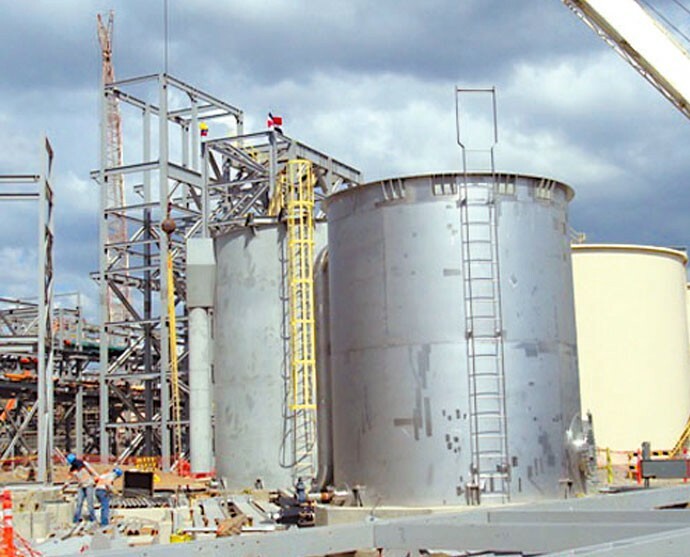 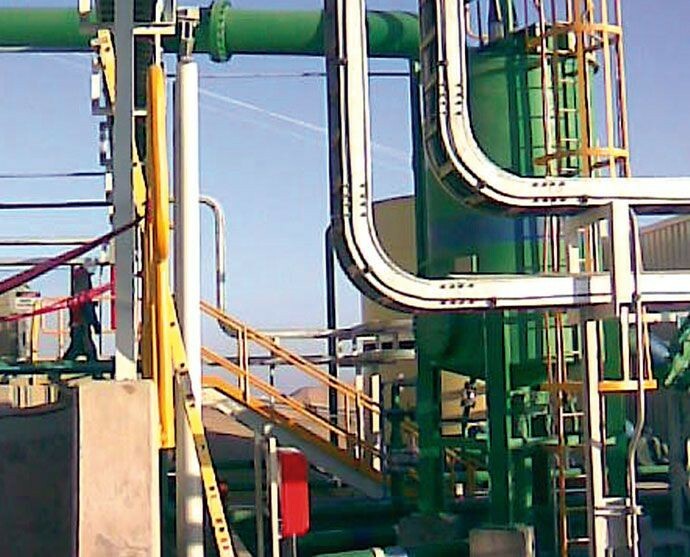 Haug S.A. executes multiple projects, which due to their nature are called Special Projects, mainly including tall Stacks, Conveyors, huge Vessels, Wharfs, Cryogenic Tanks, Pressure Pipes, Gates, etc. 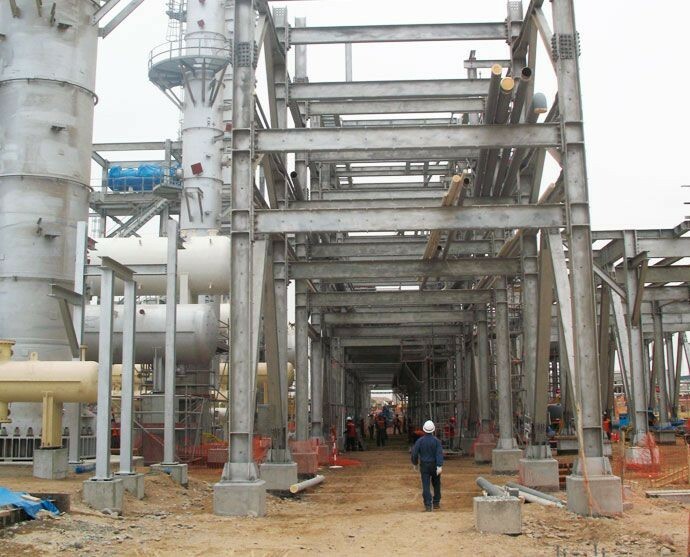 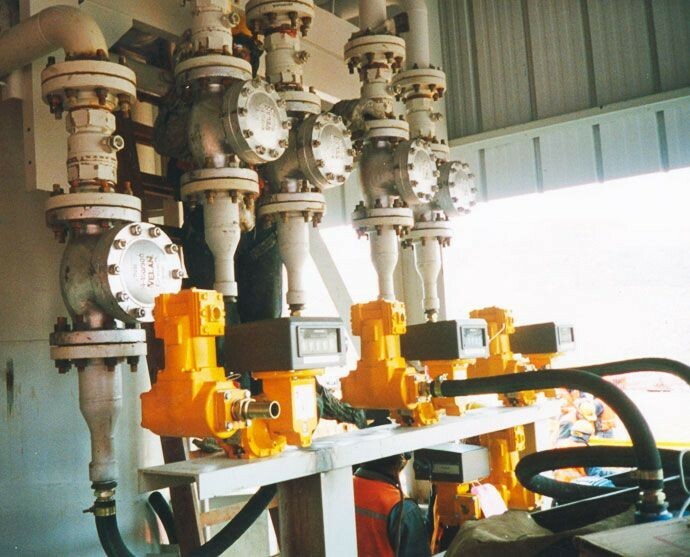 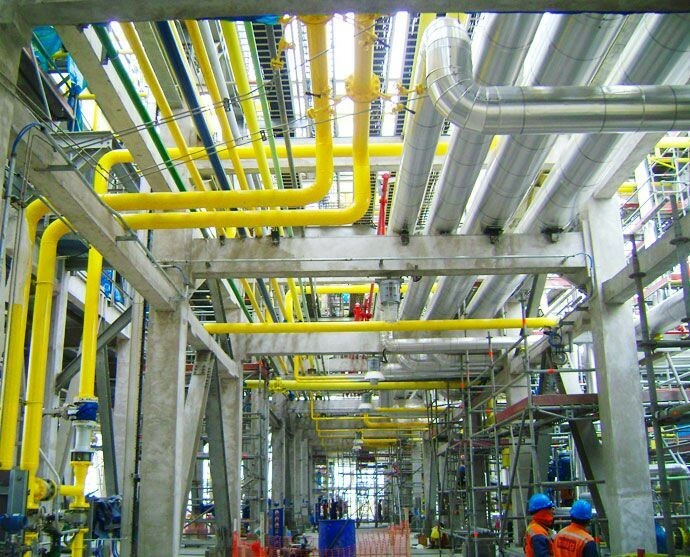 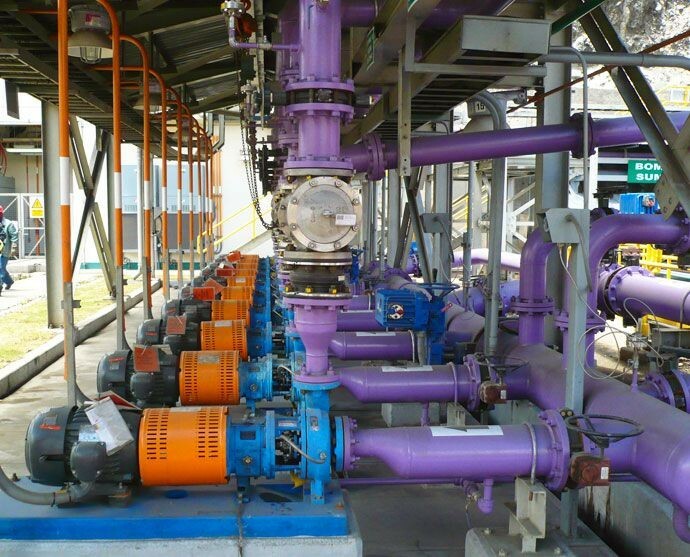 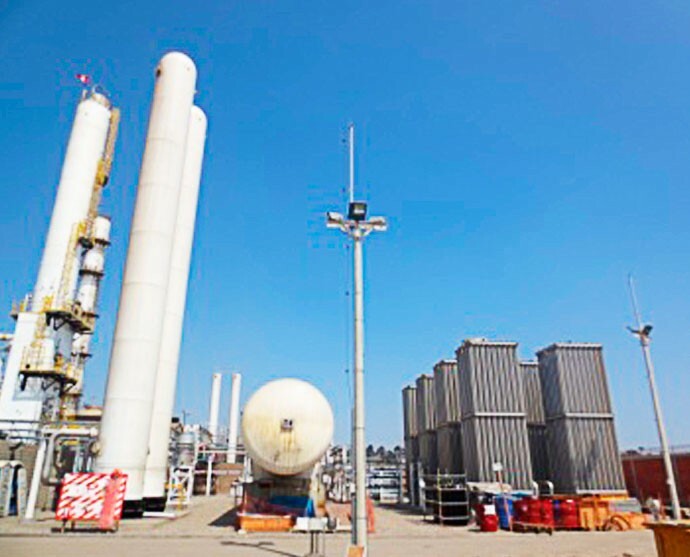 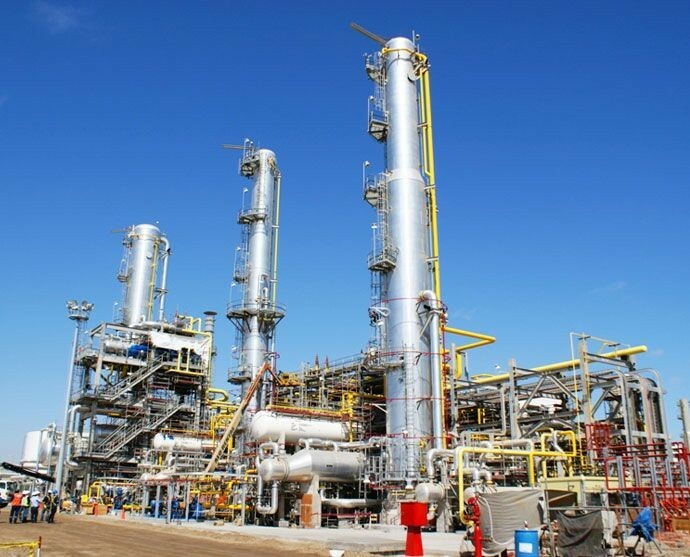 Within this range of special projects Haug S.A. has performed multiple industrial conversions for the use of natural gas including gas stations, networks connections and deliveries in operating conditions. 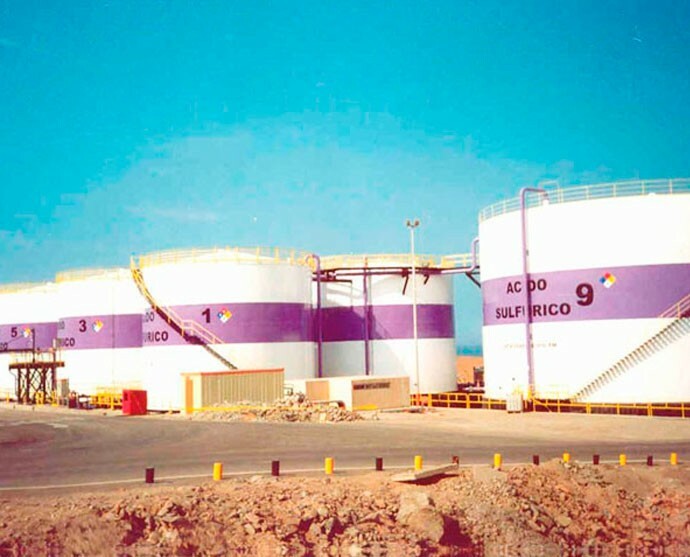 PETROLEOS DEL PERU - PETROPERU S.A.